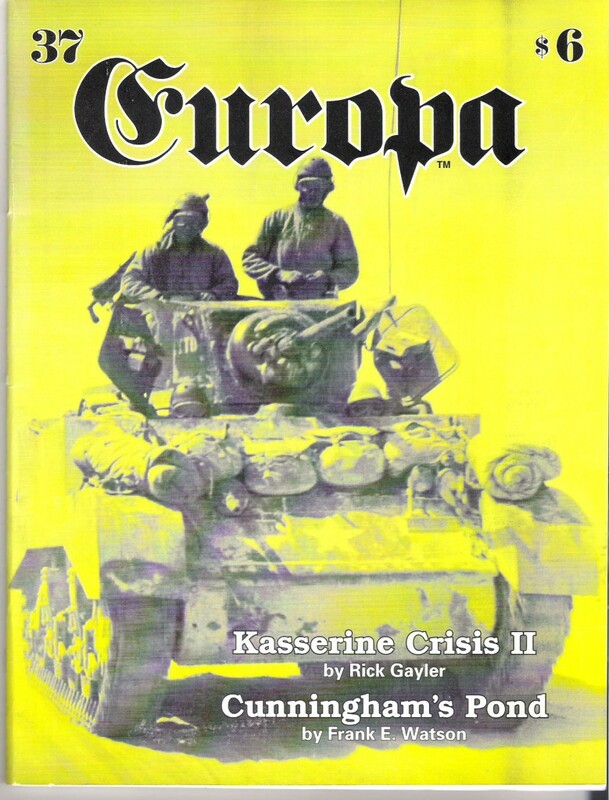 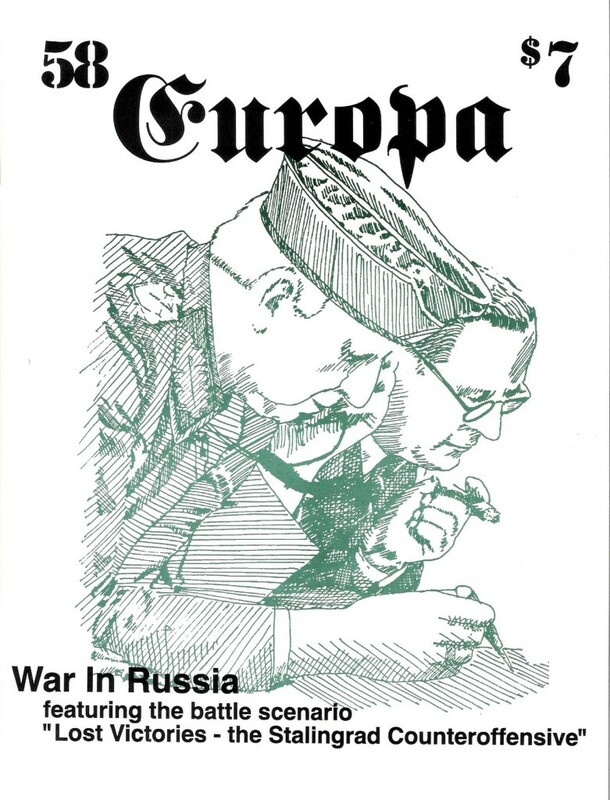 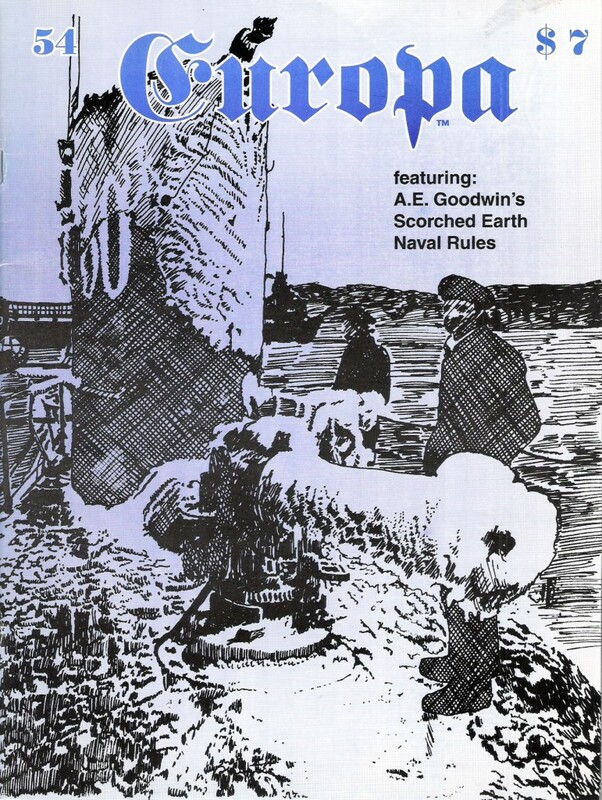 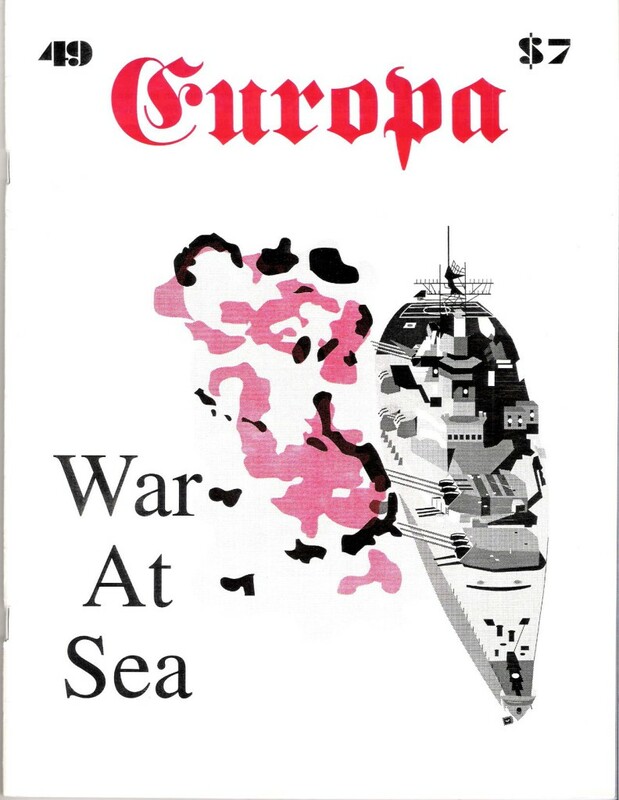 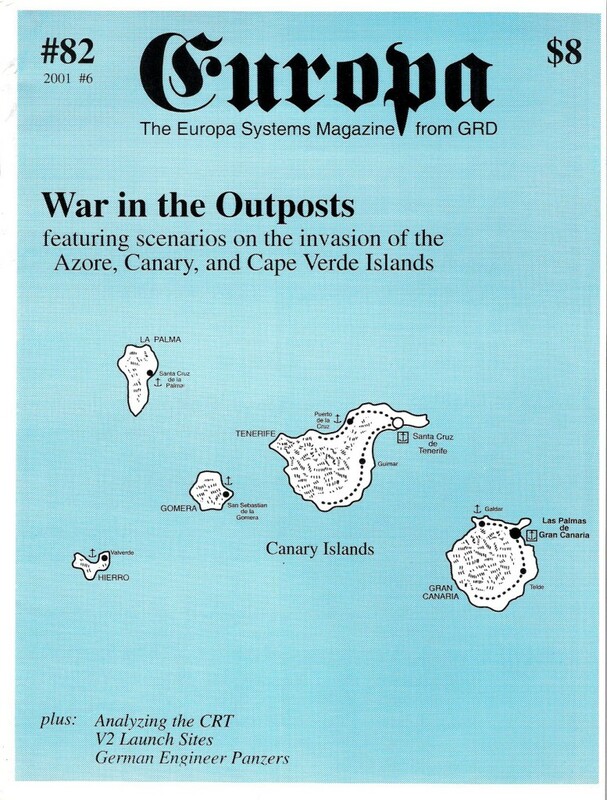 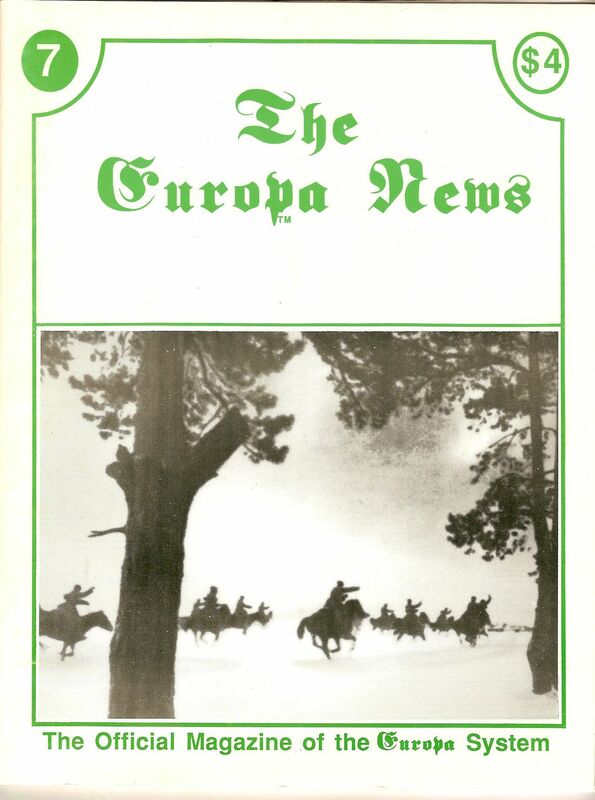 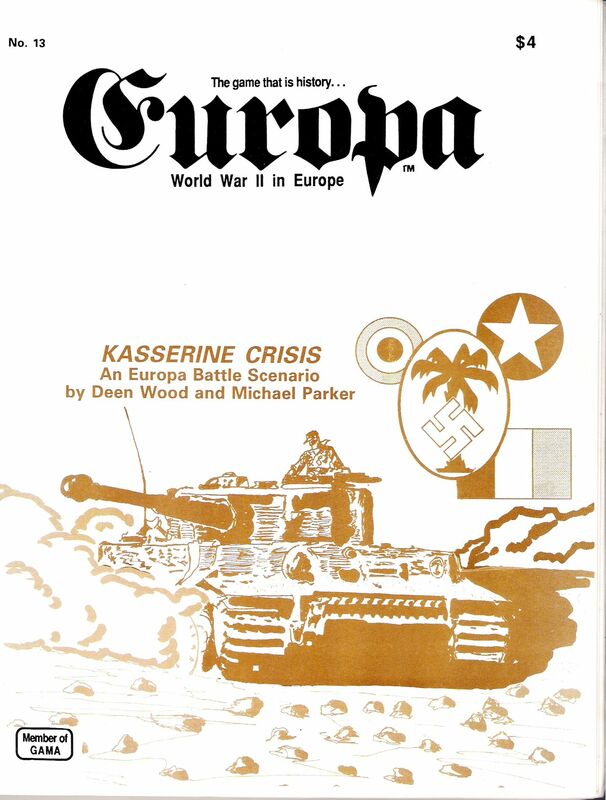 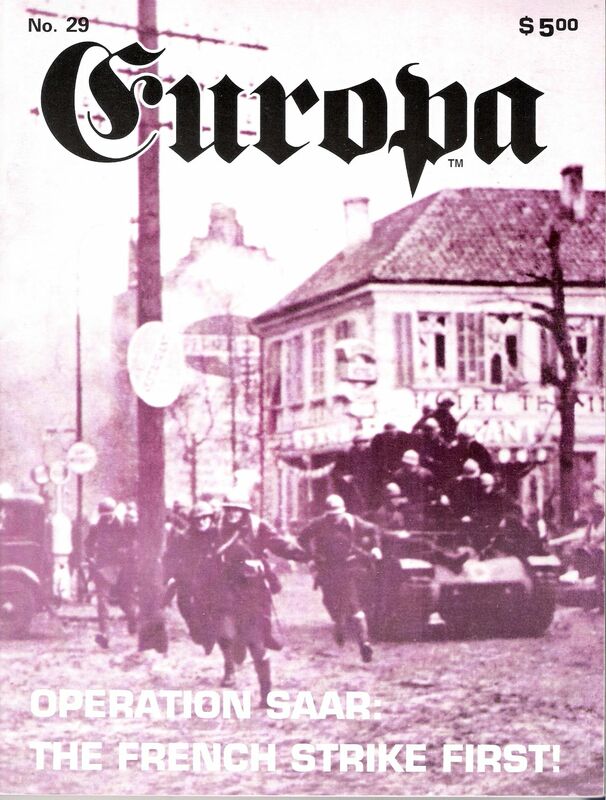 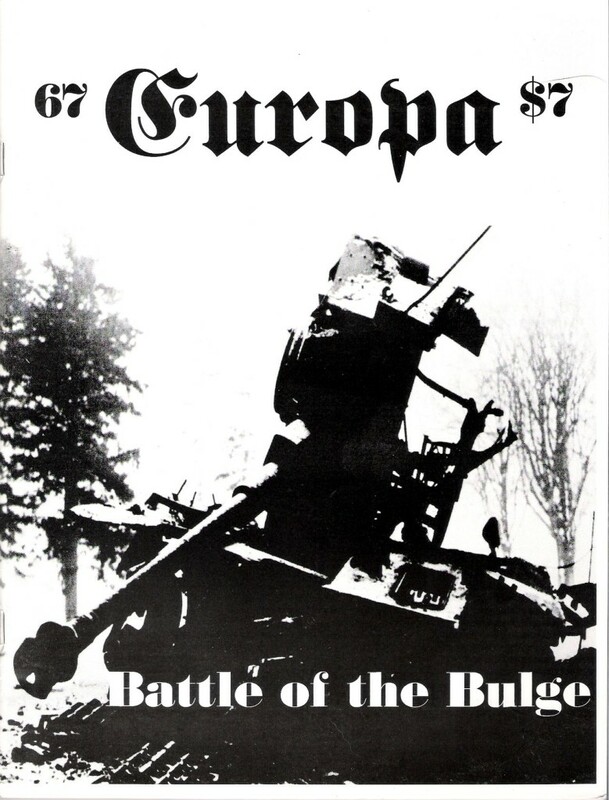 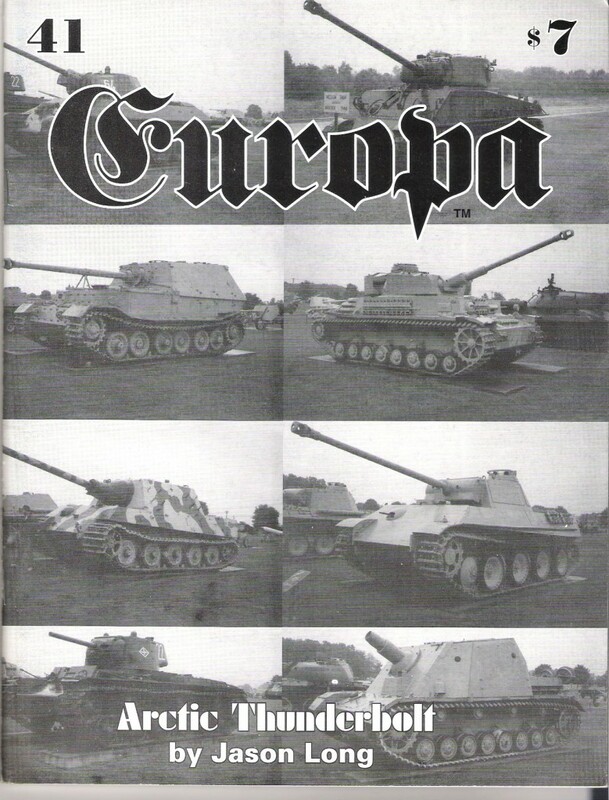 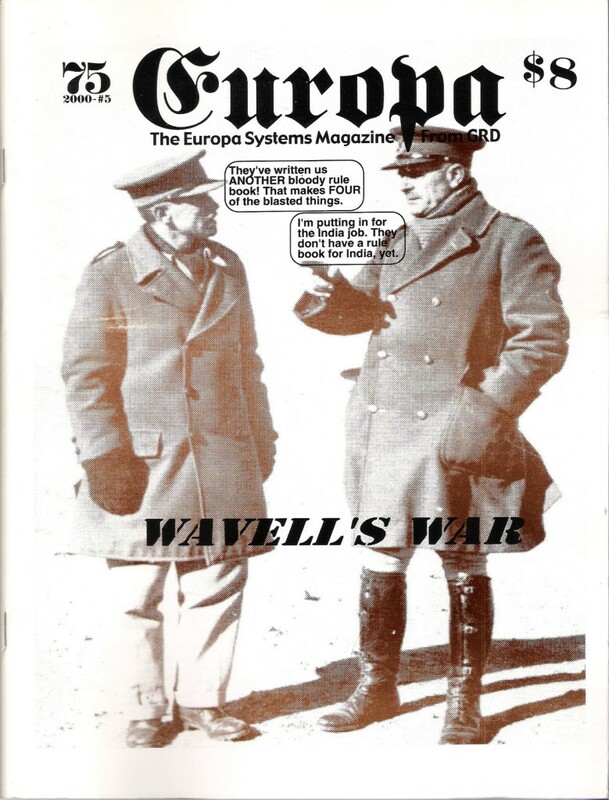 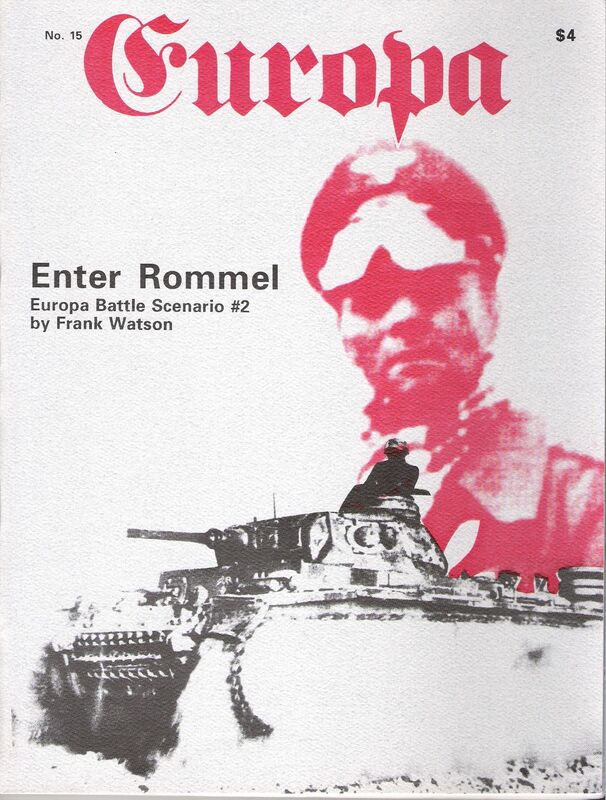 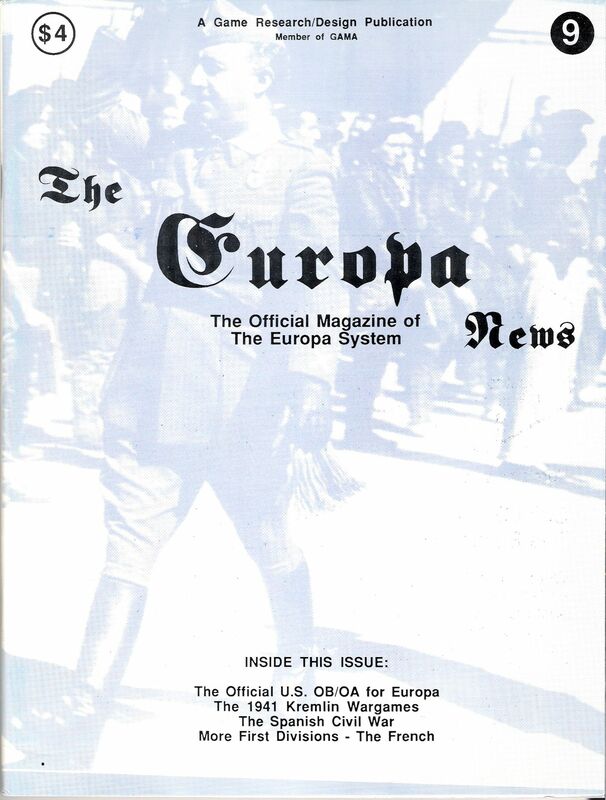 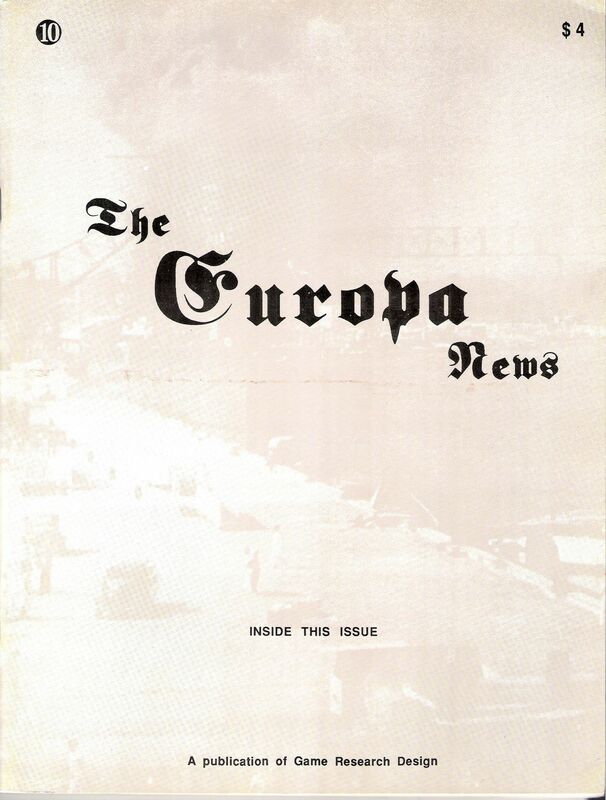 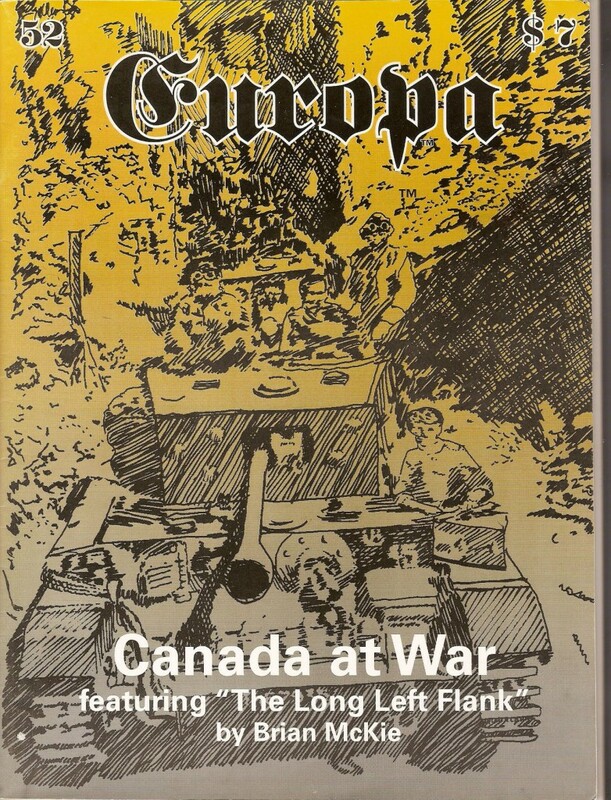 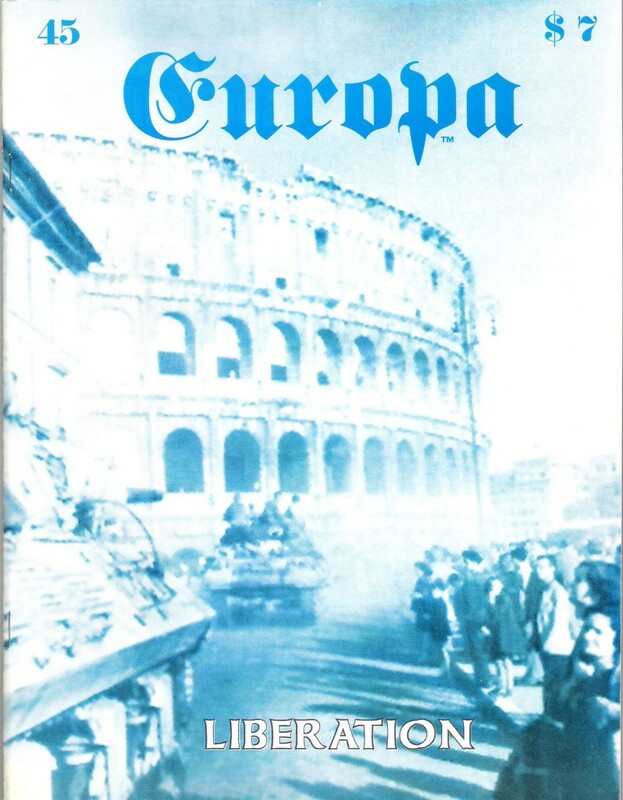 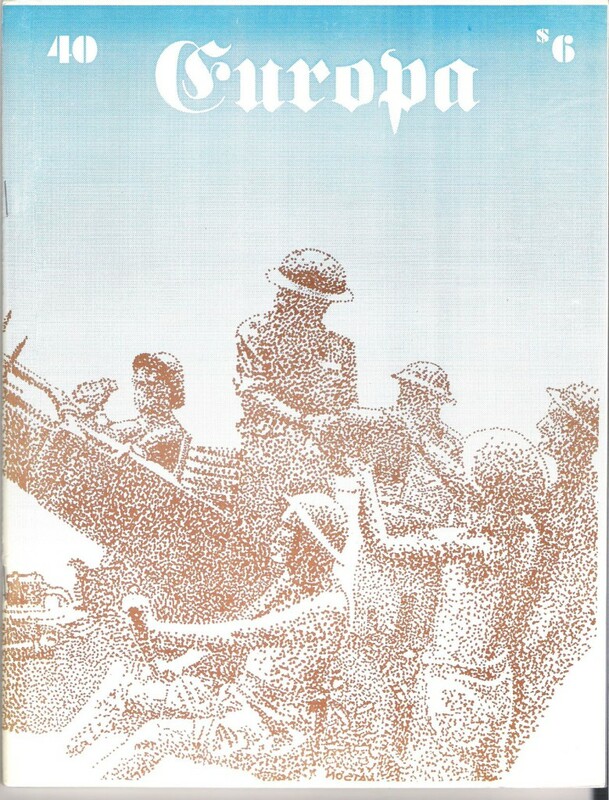 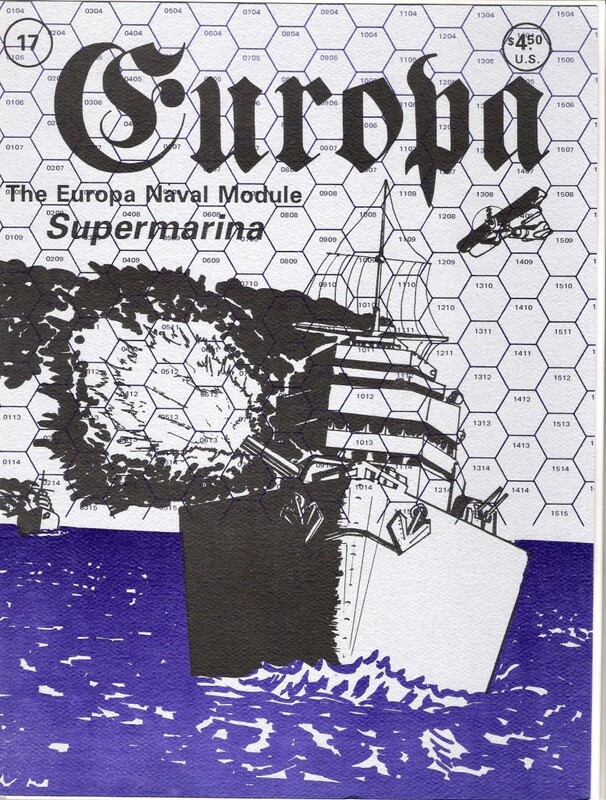 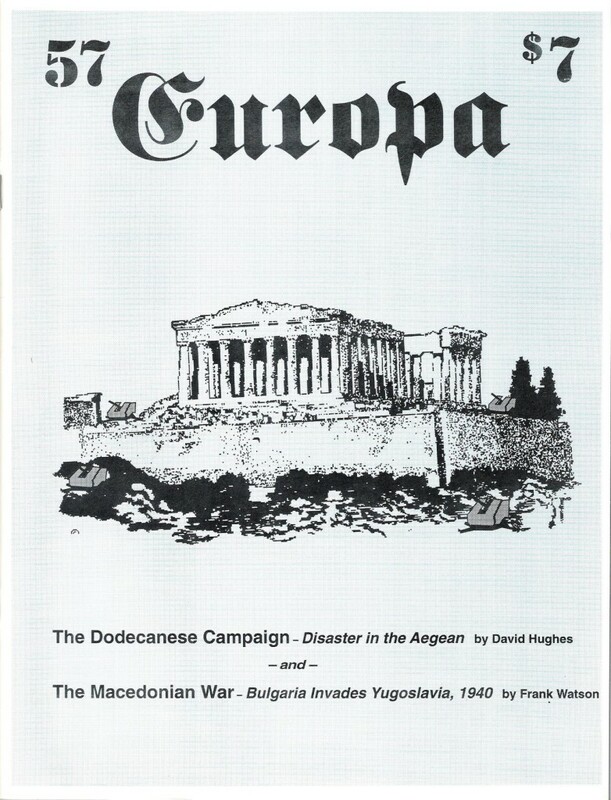 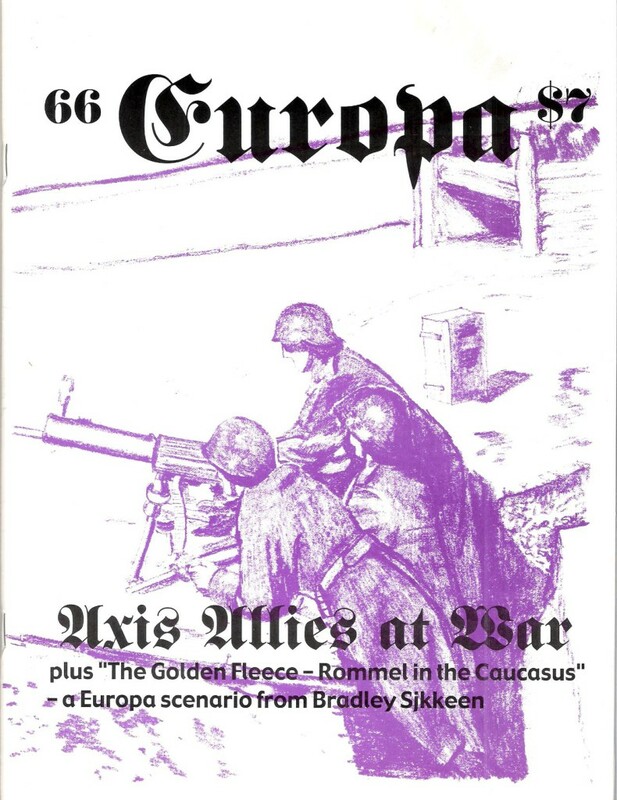 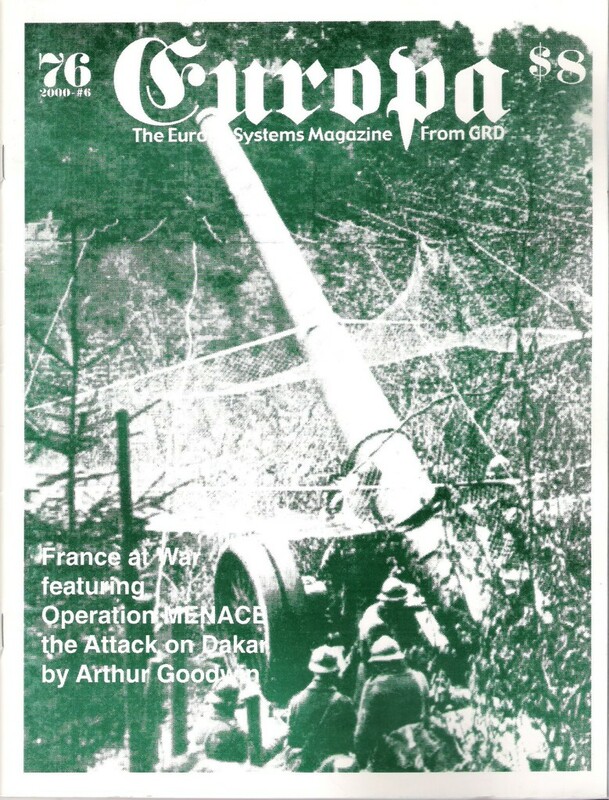 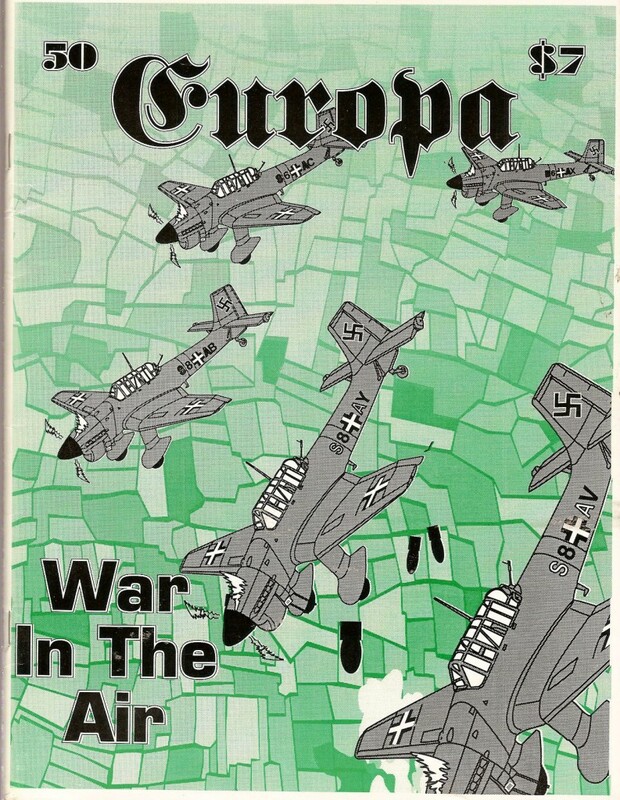 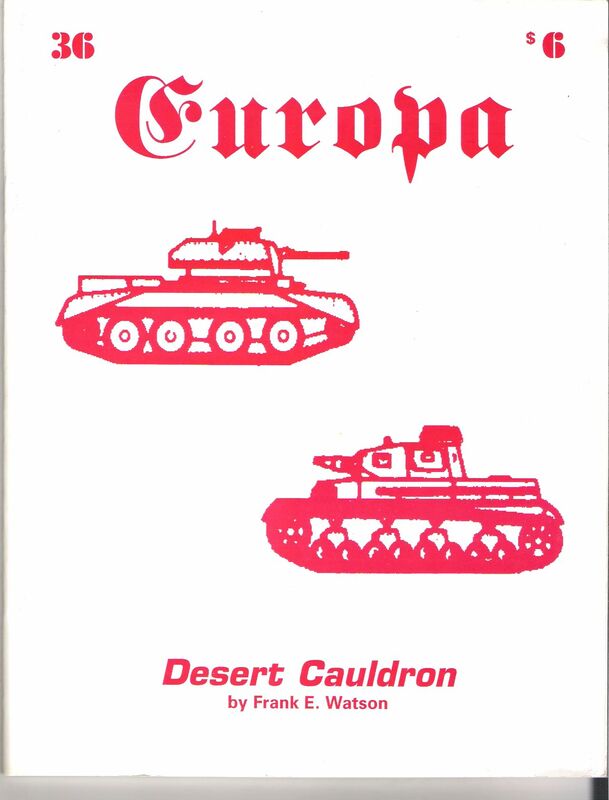 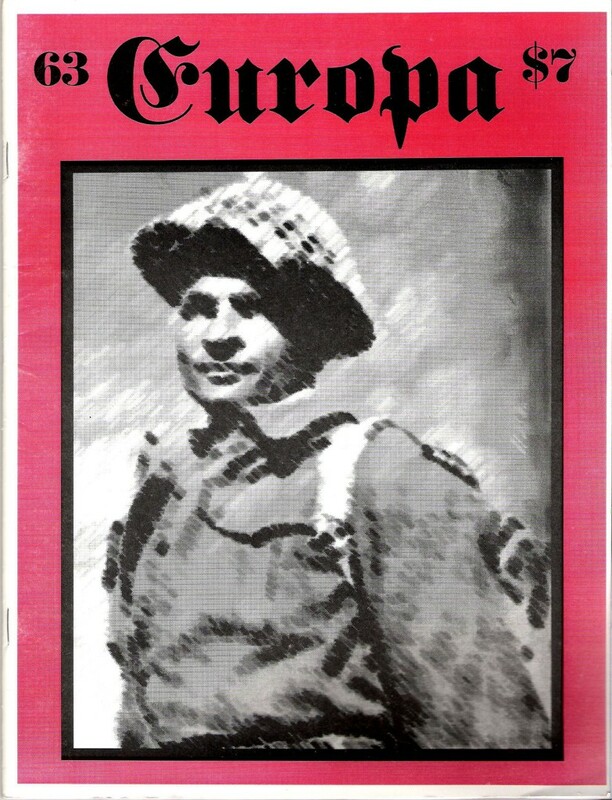 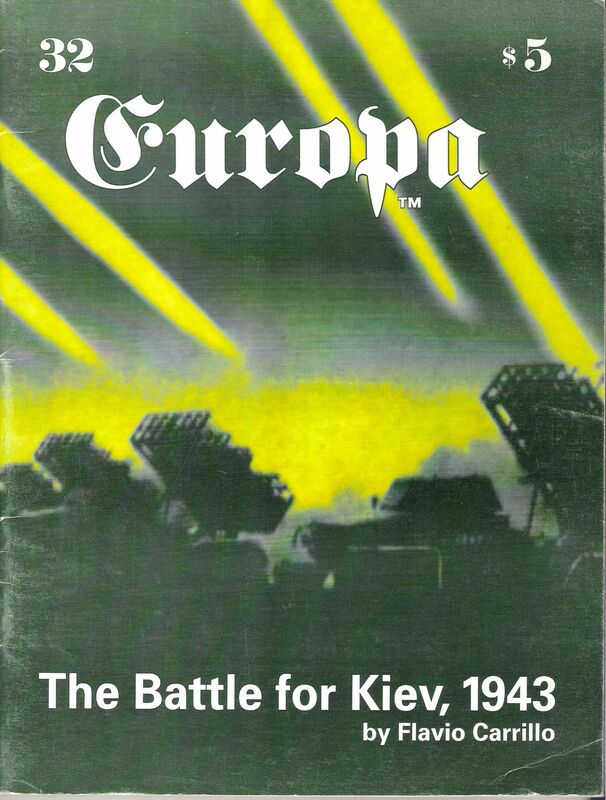 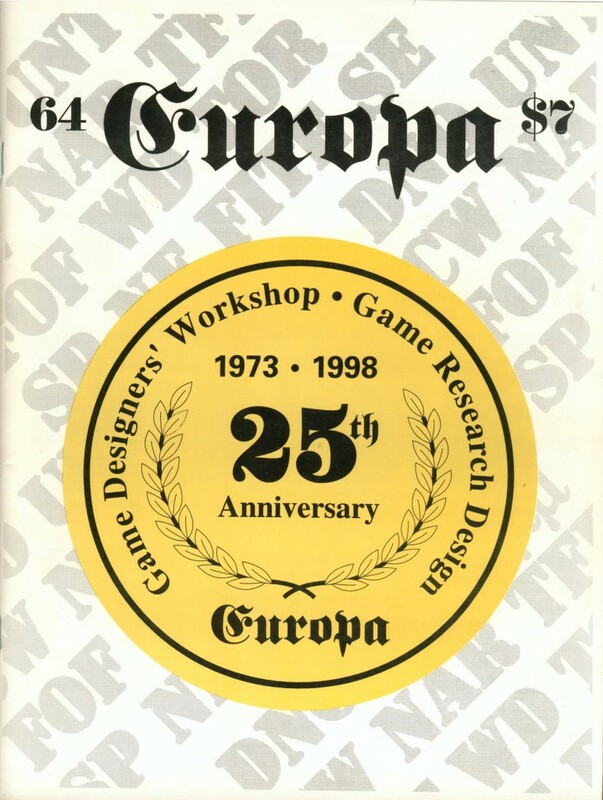 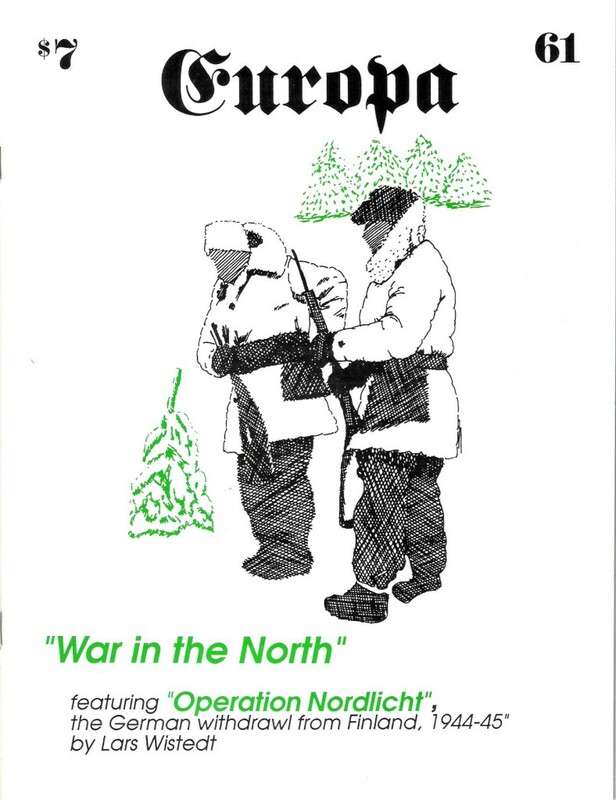 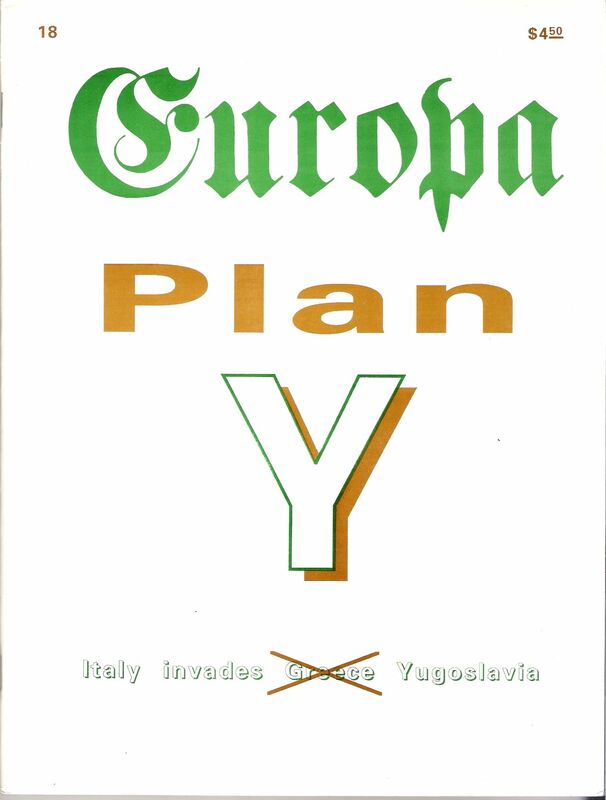 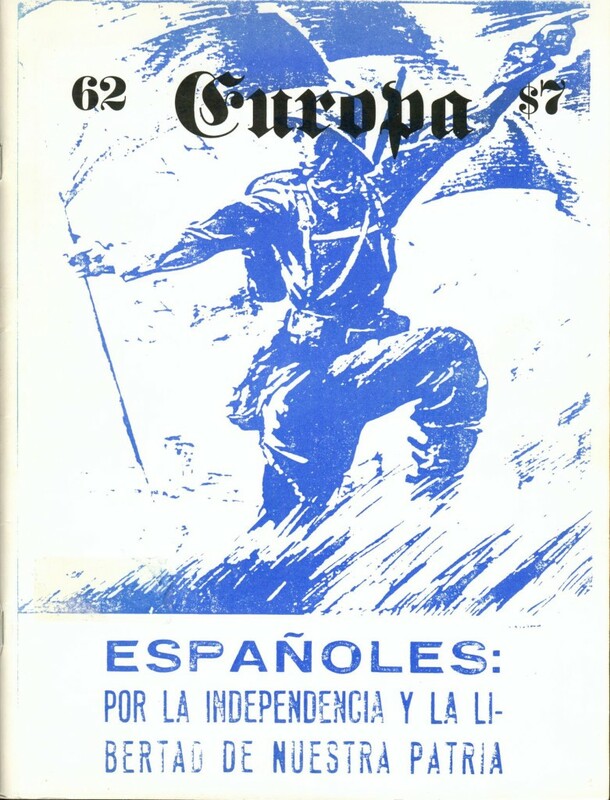 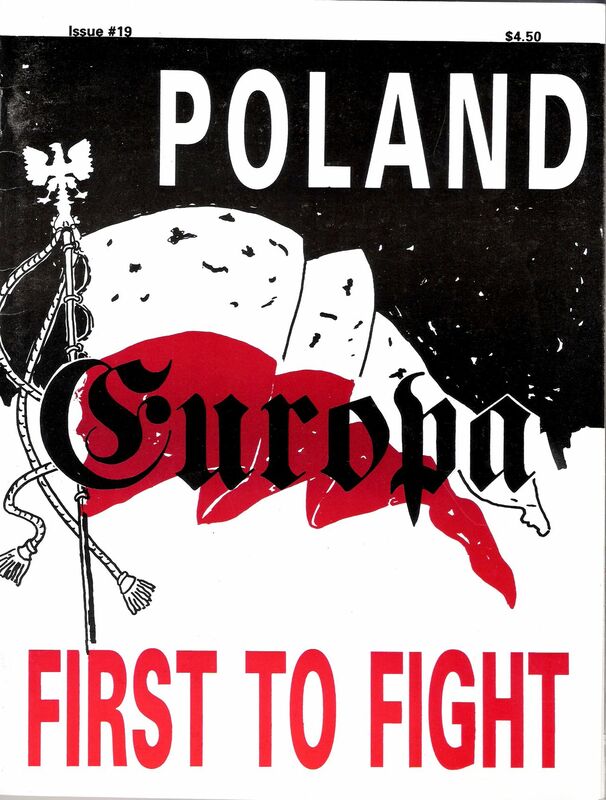 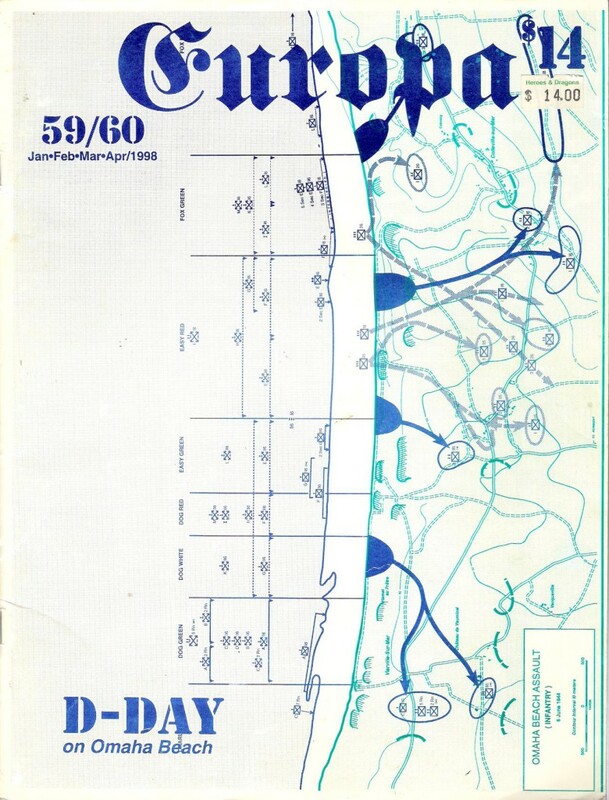 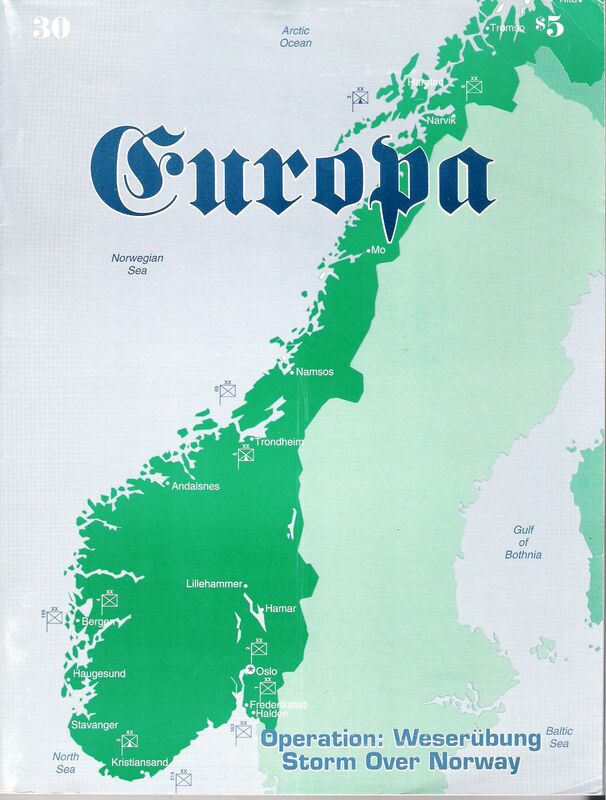 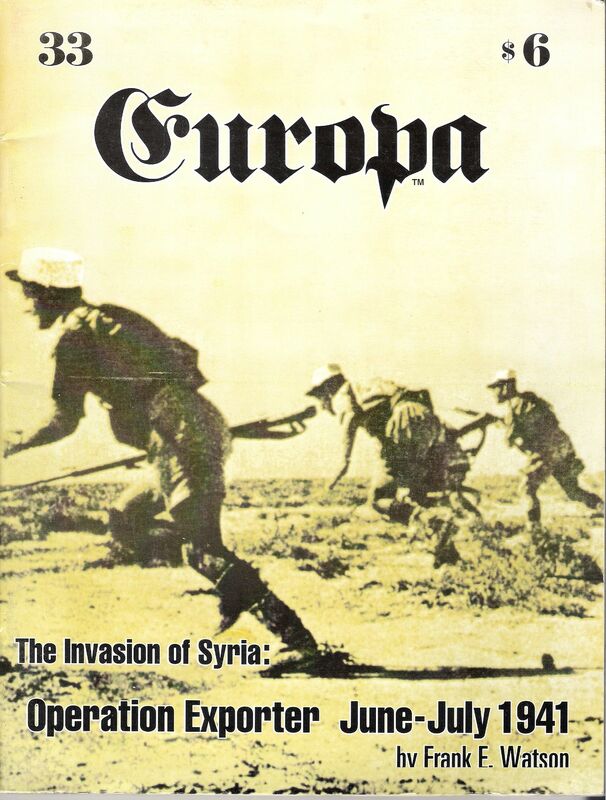 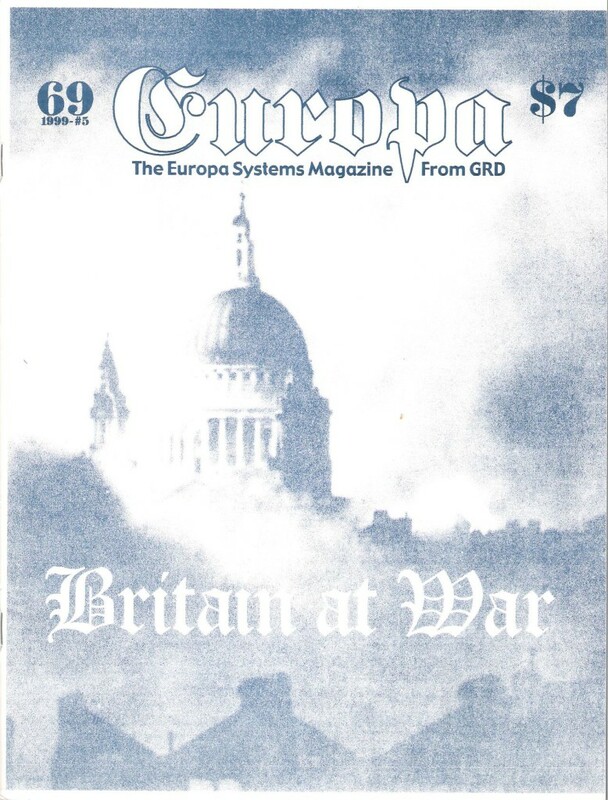 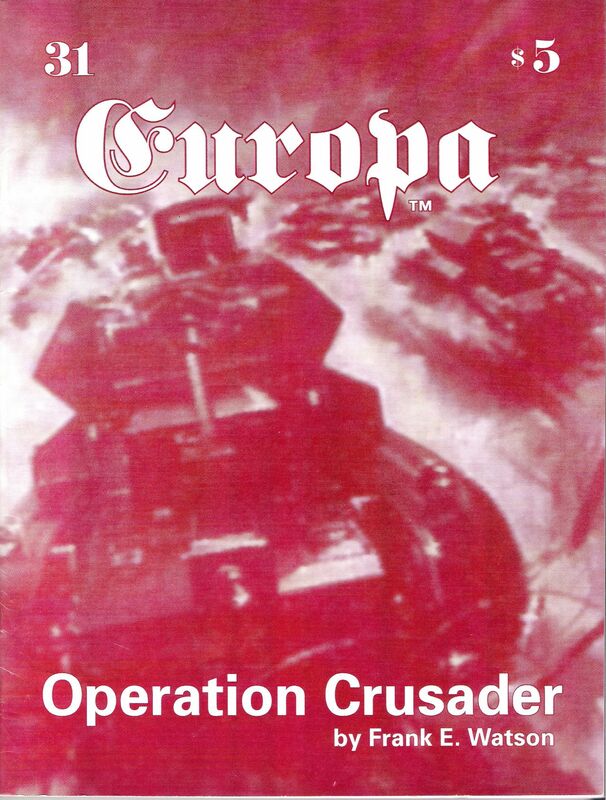 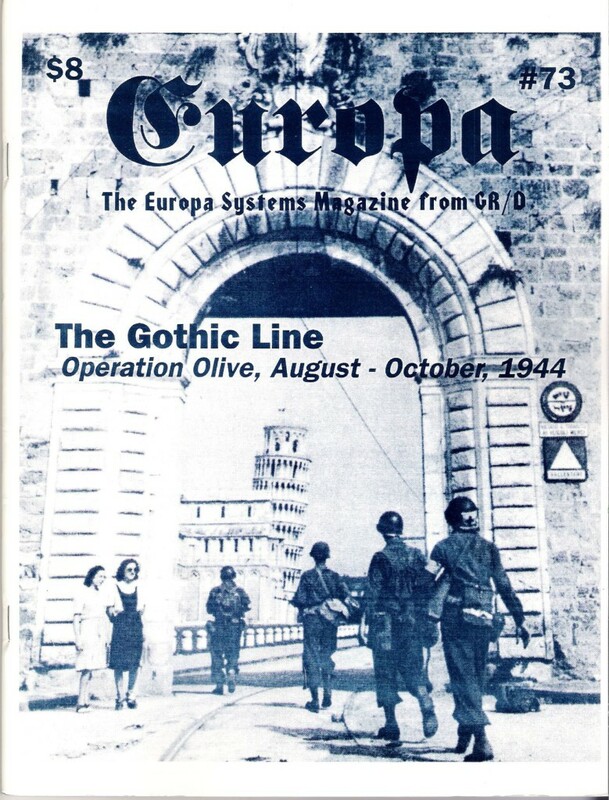 During 1976-1977, GDW published four issues of a flier called The Europa Newsletter. 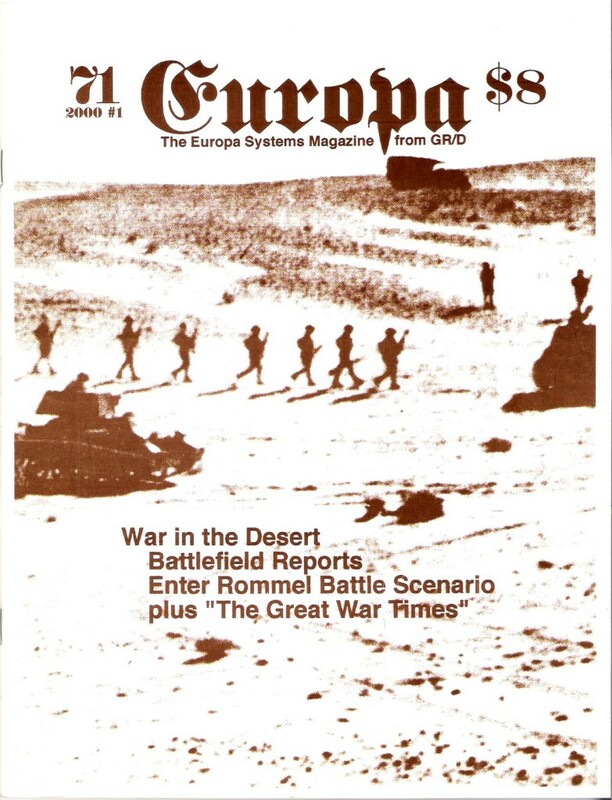 The fifth issue became a full-fledged magazine called The Grenadier, and expanded its coverage to GDW's other, non-Europa offerings as well. 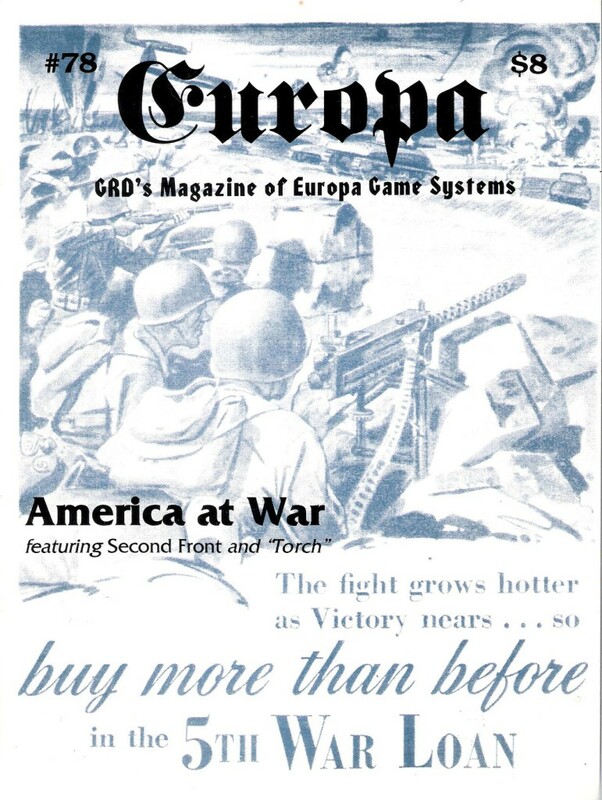 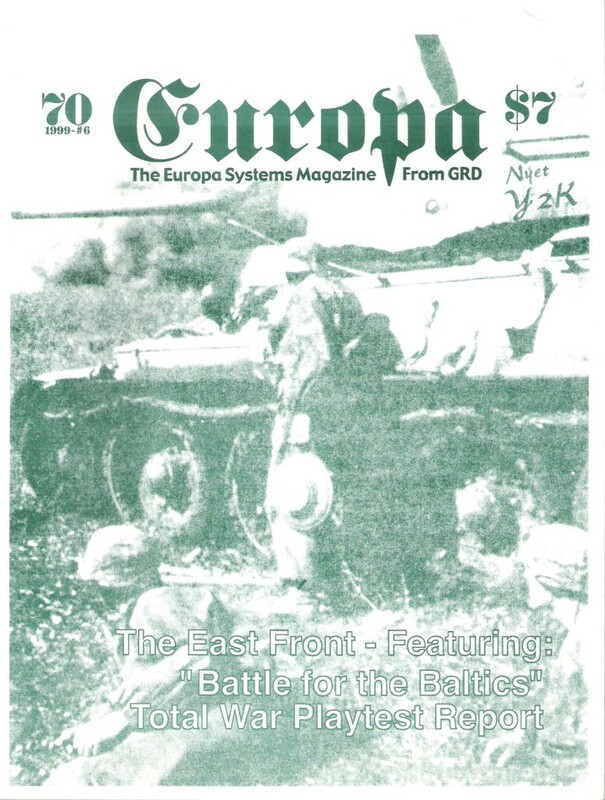 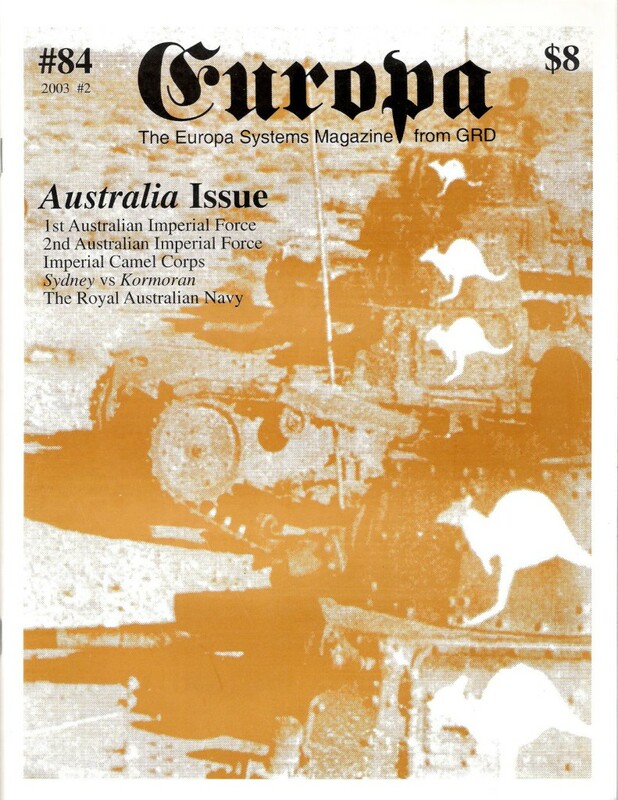 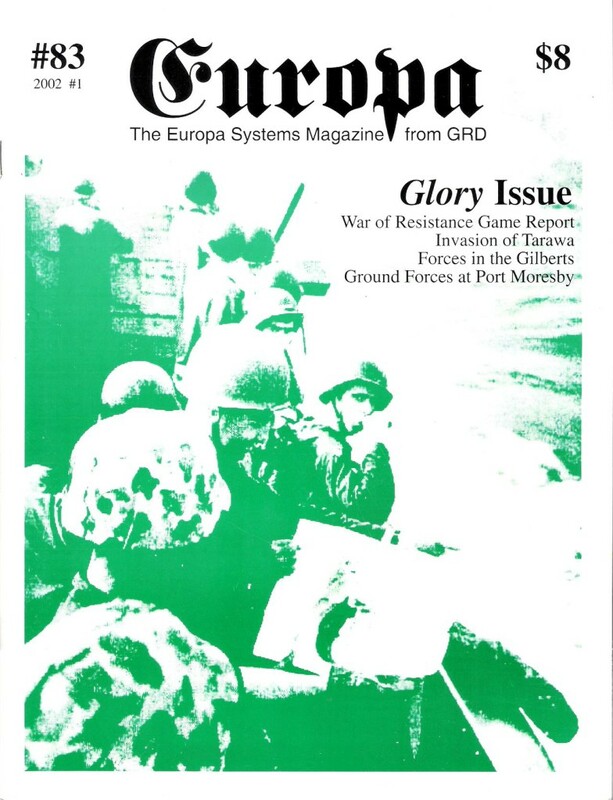 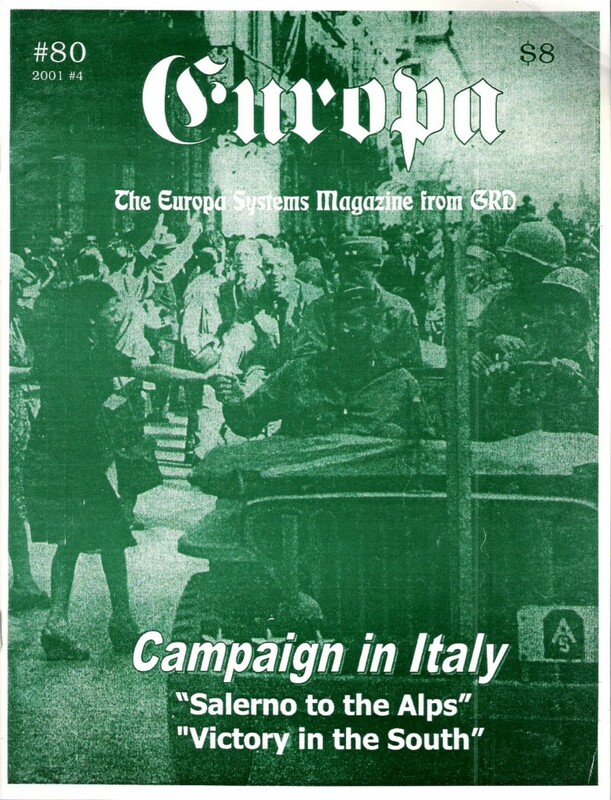 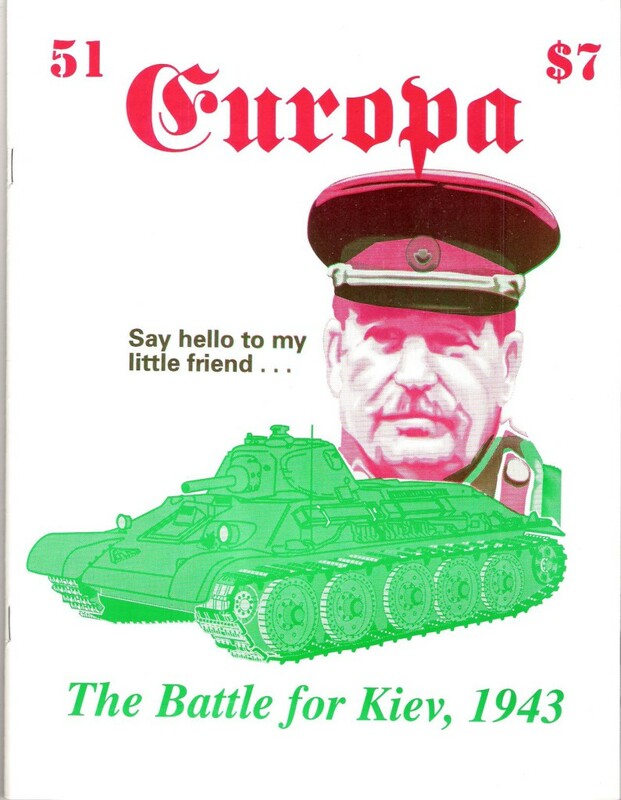 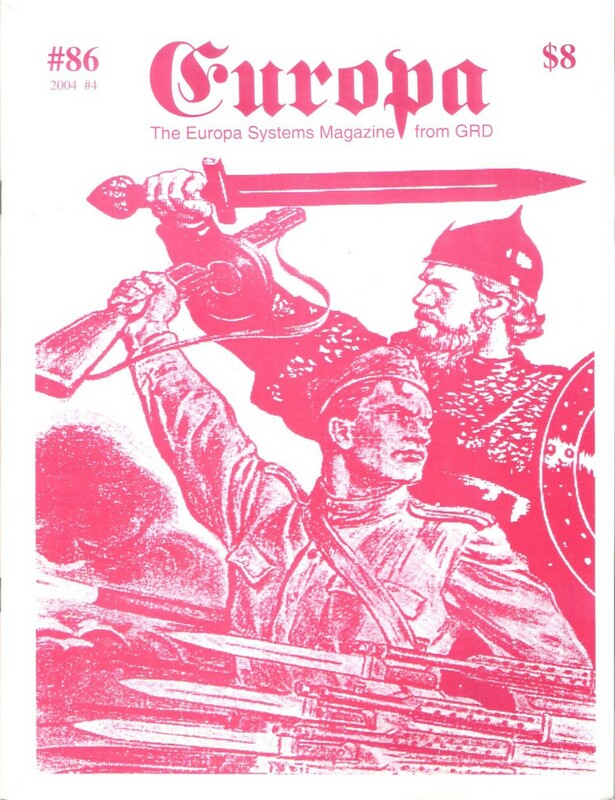 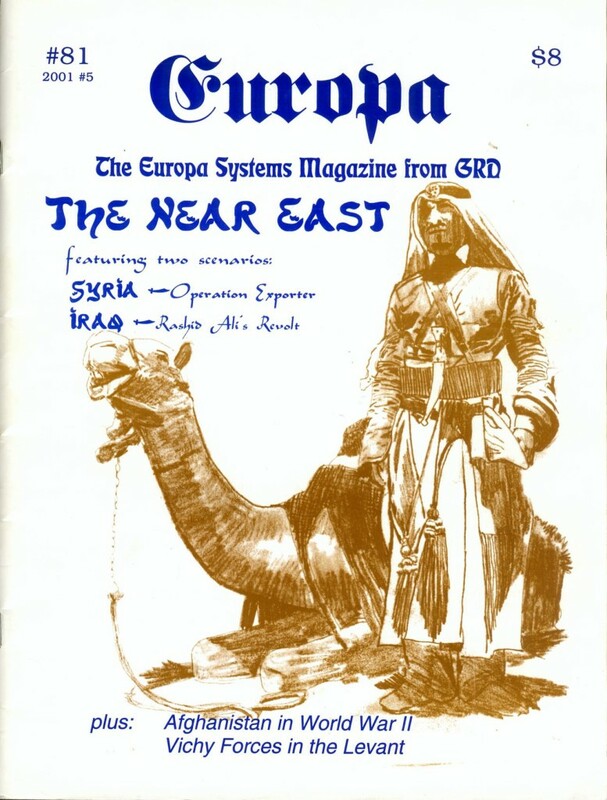 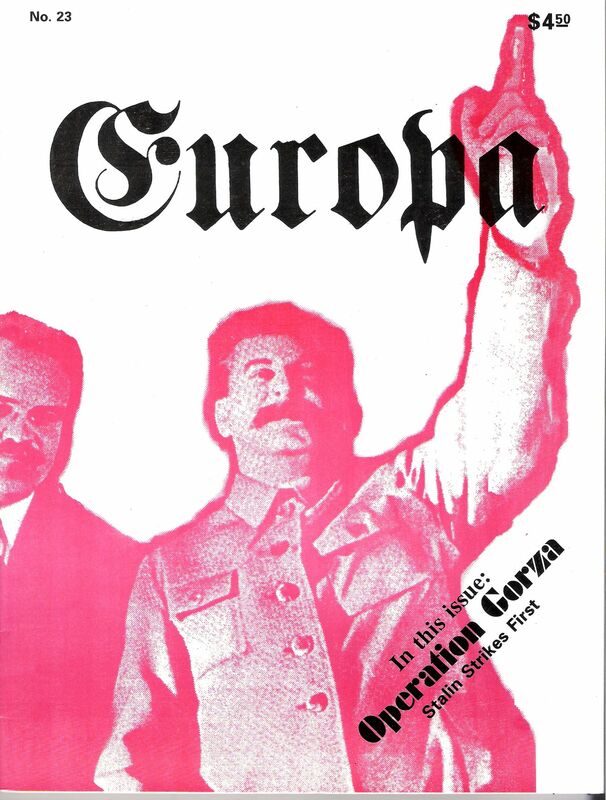 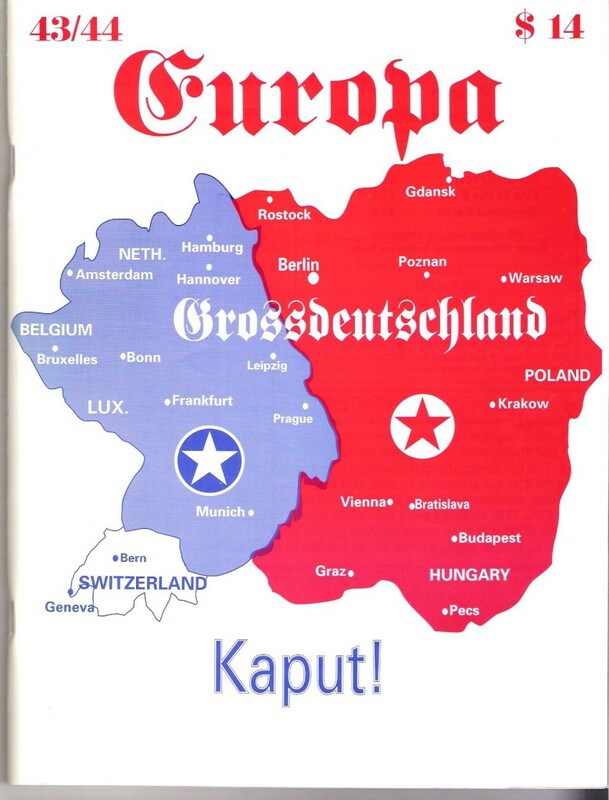 In 1988, GRD revived The Europa Newsletter. 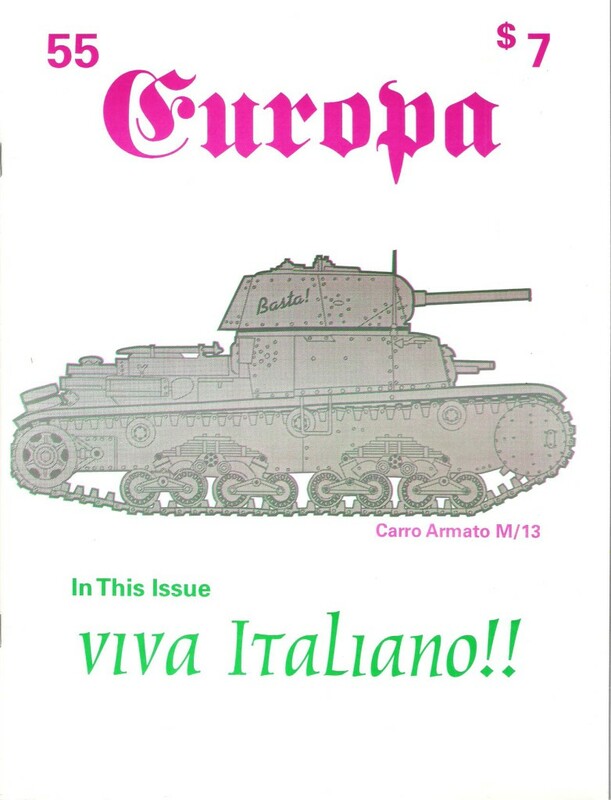 With issue #5 the newsletter merged with Gary Staglianos Nuts&Bolts. 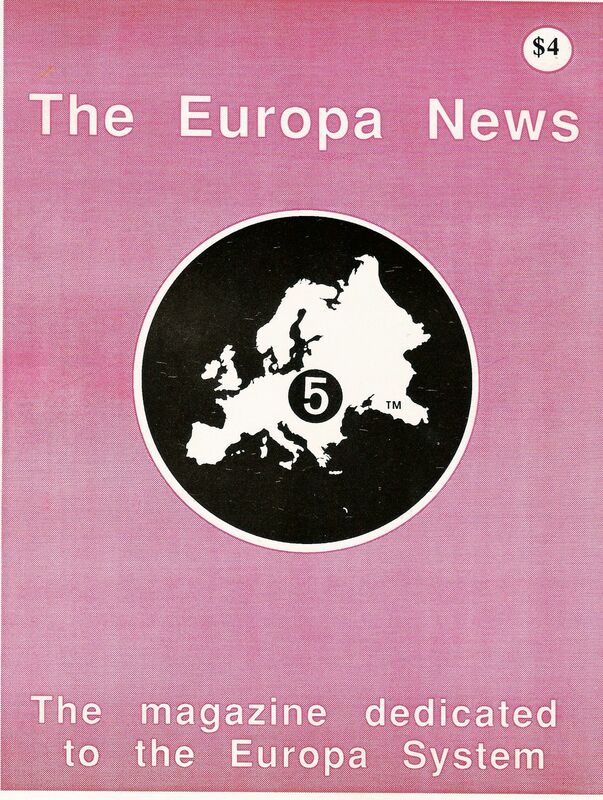 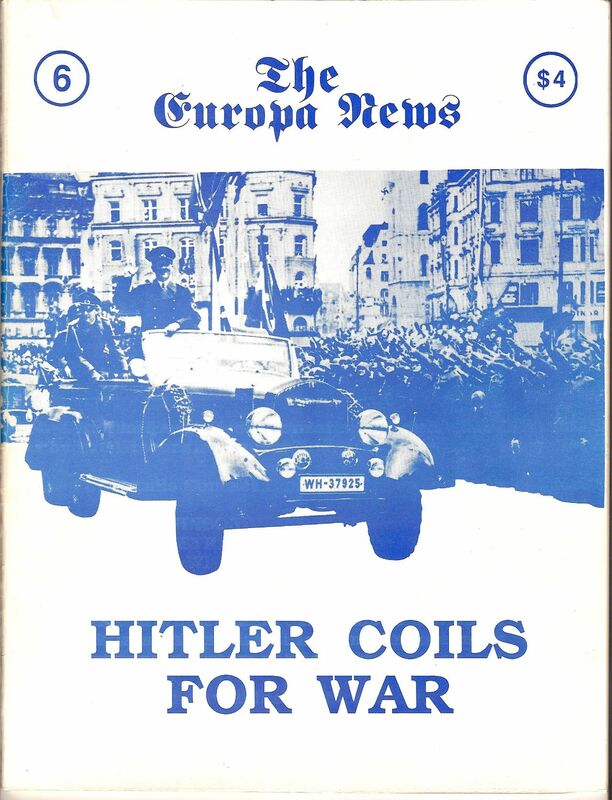 The title changed to The Europa News (TEN), a somewhat more substantial magazine with a stiff glossy cover. 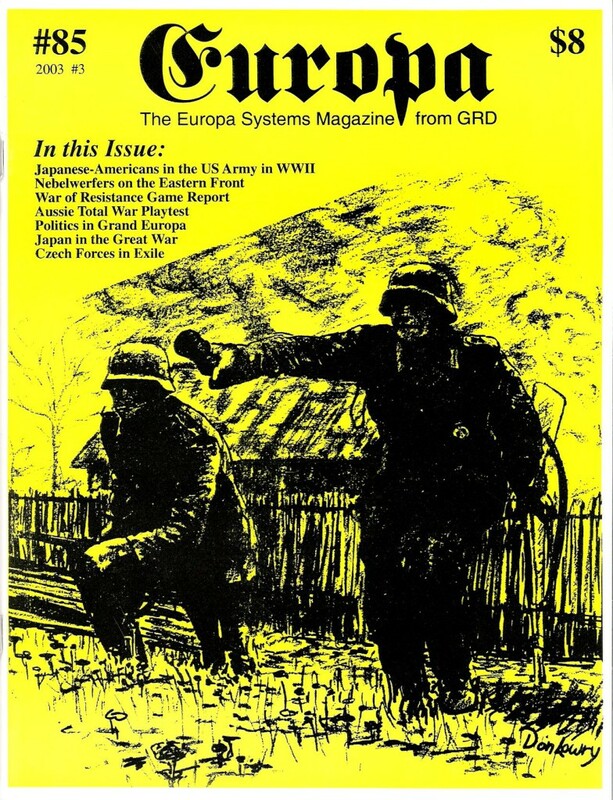 Starting with issue No. 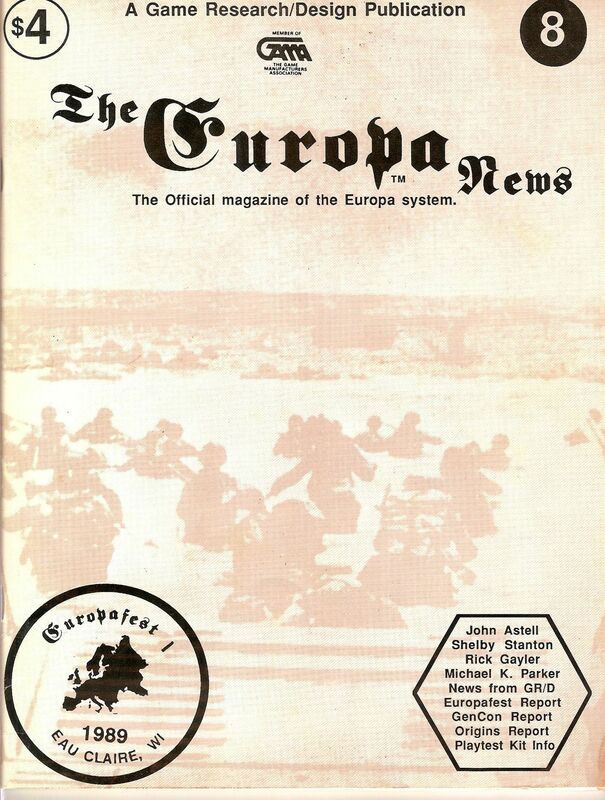 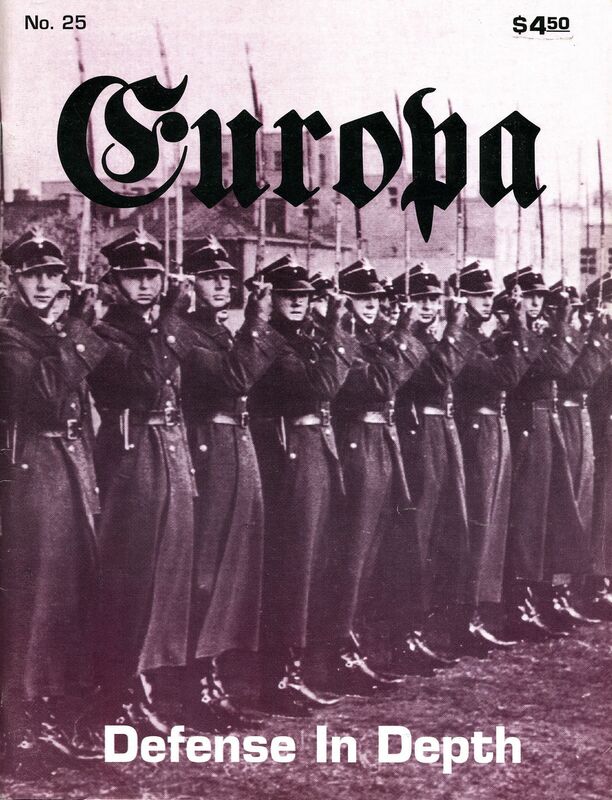 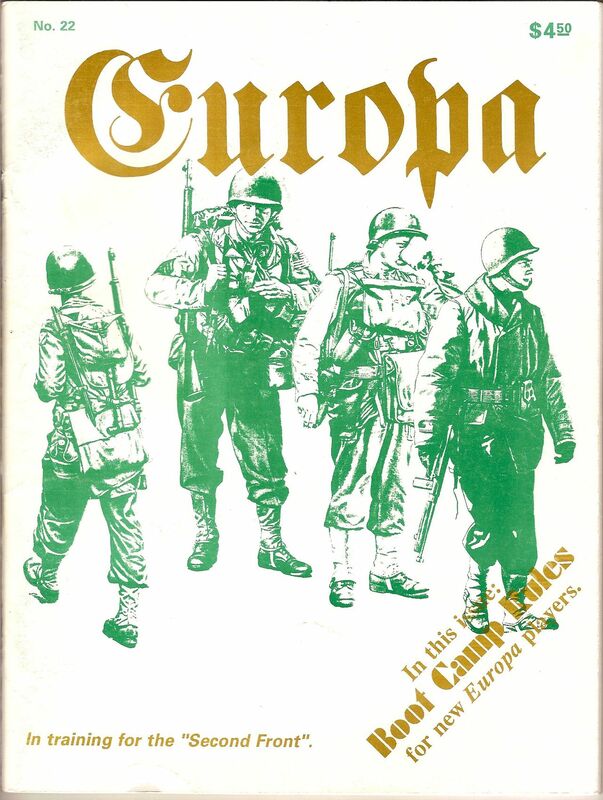 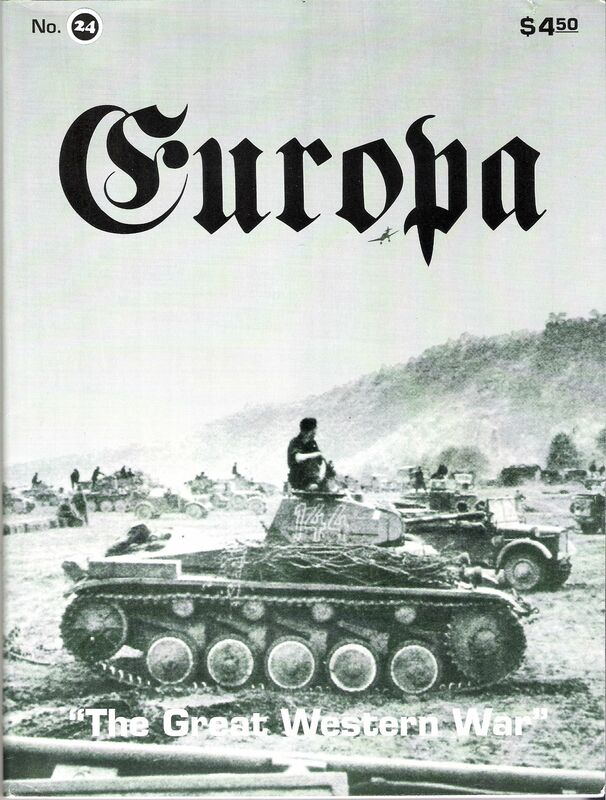 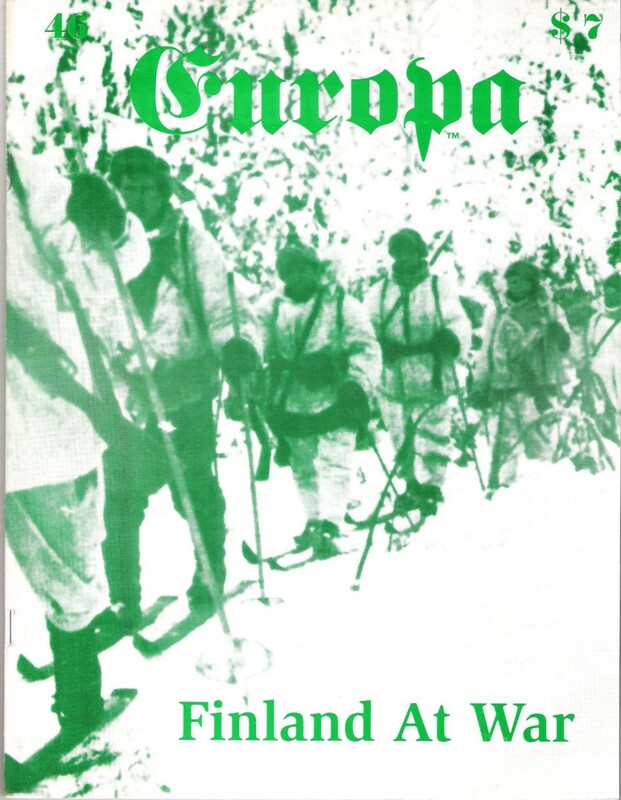 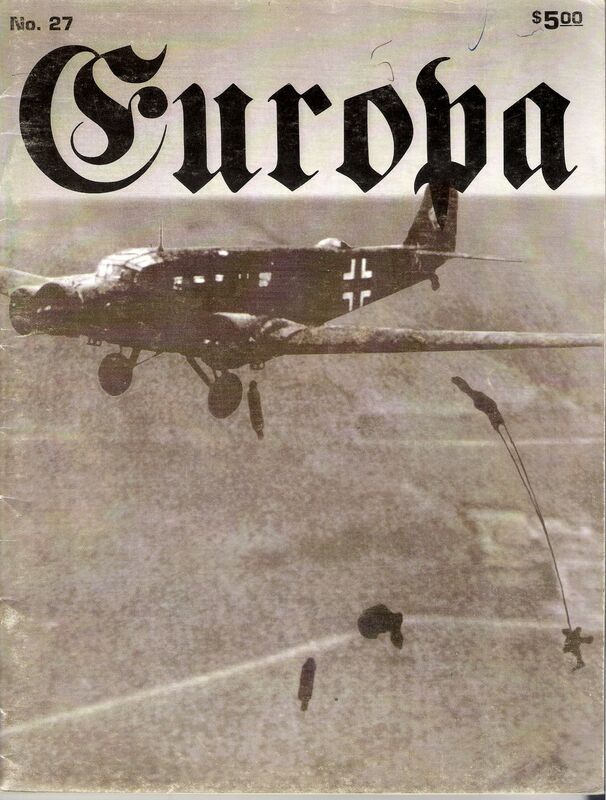 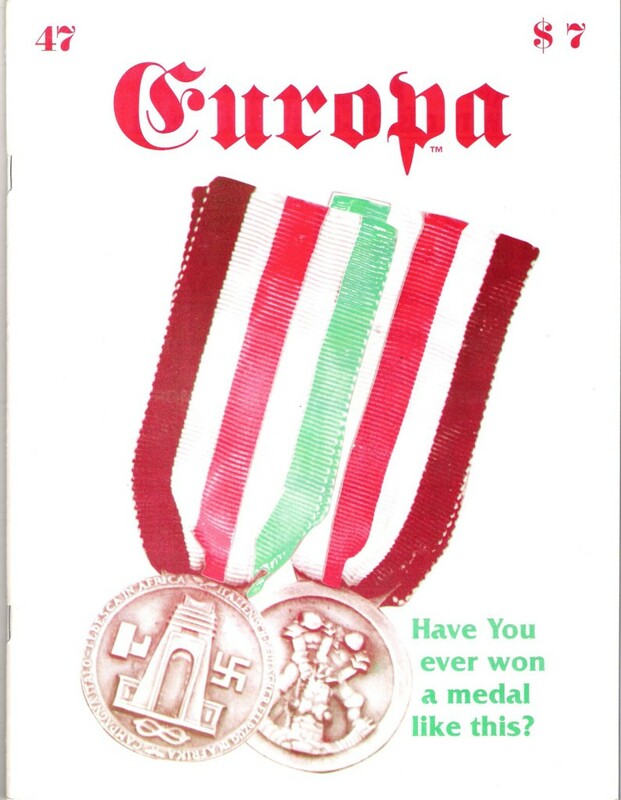 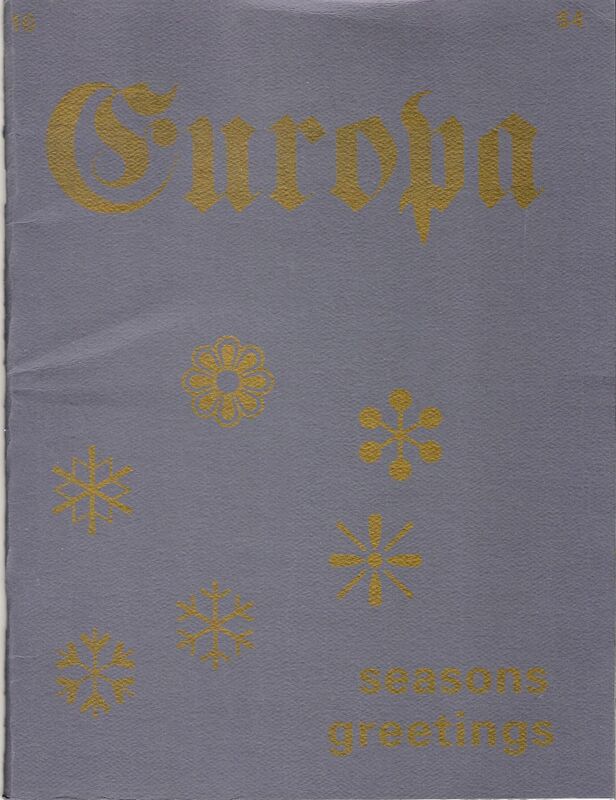 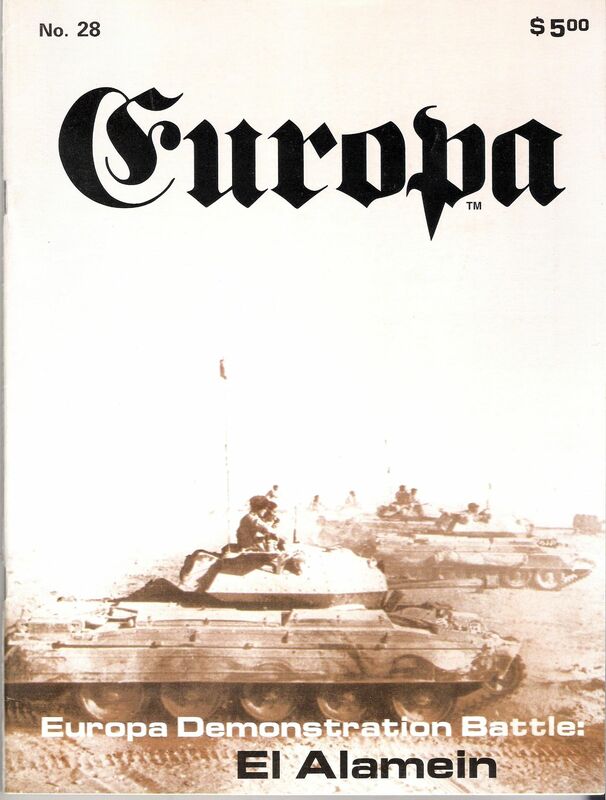 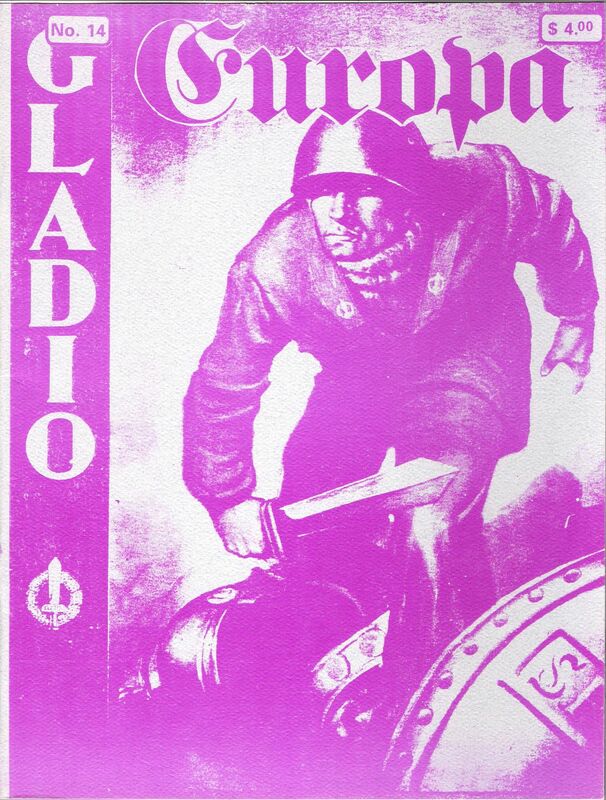 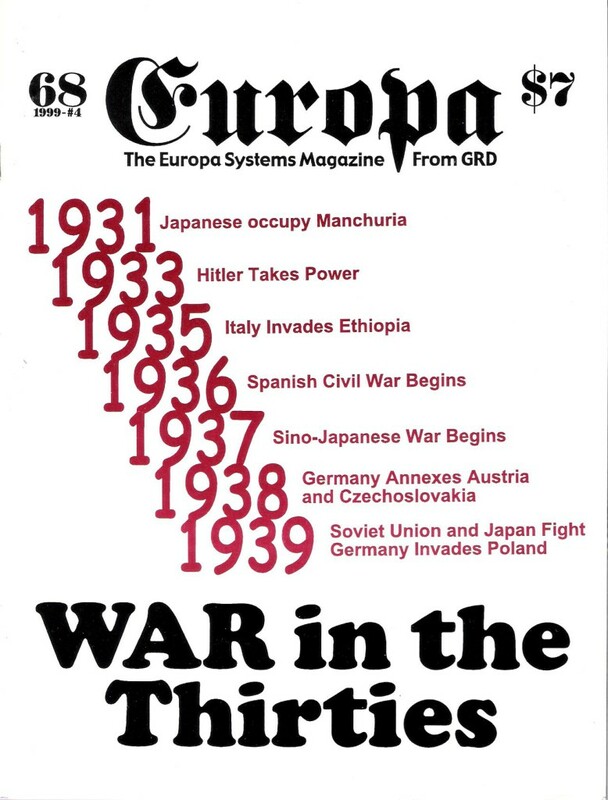 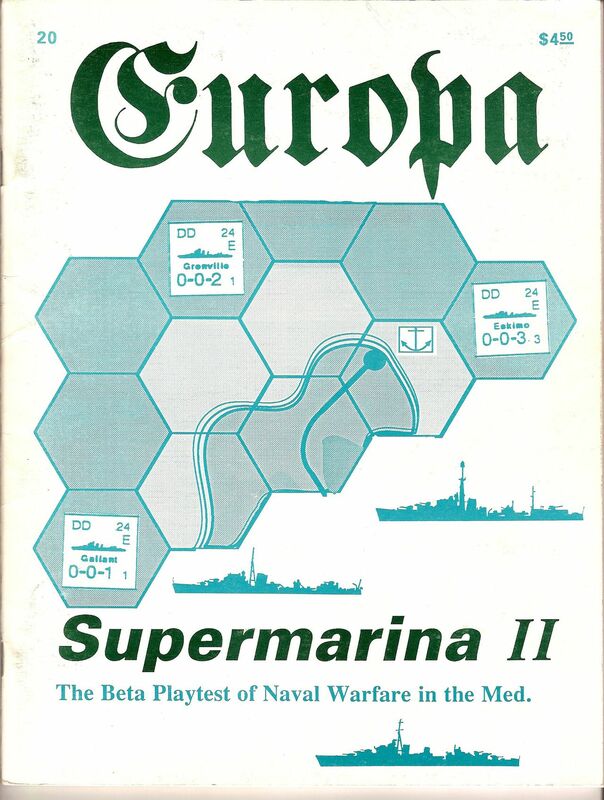 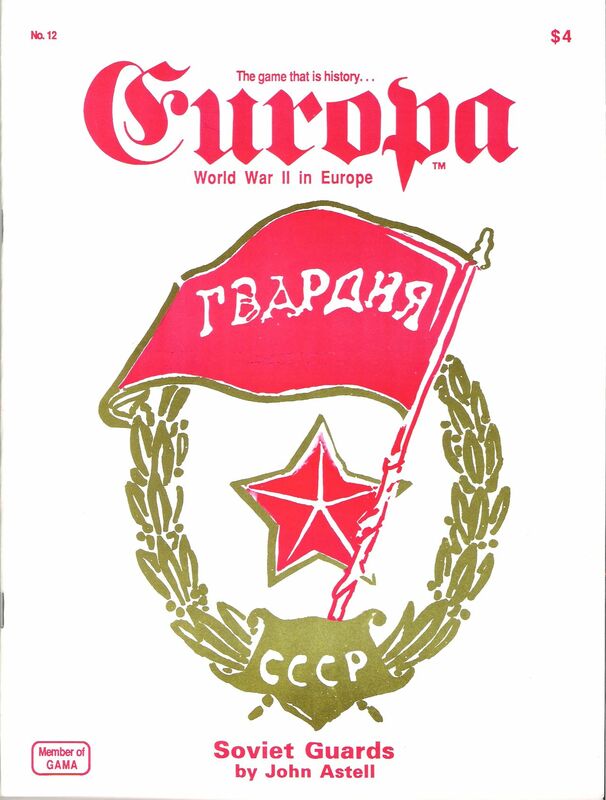 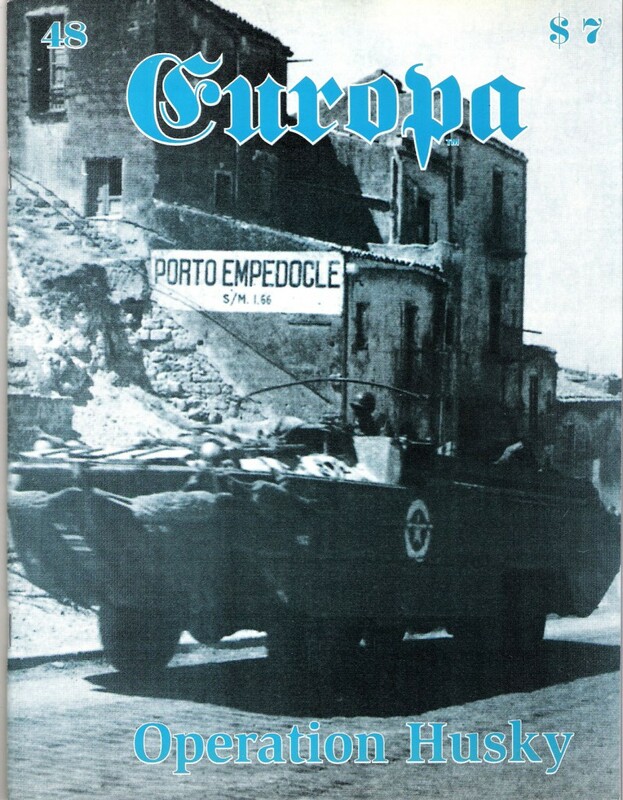 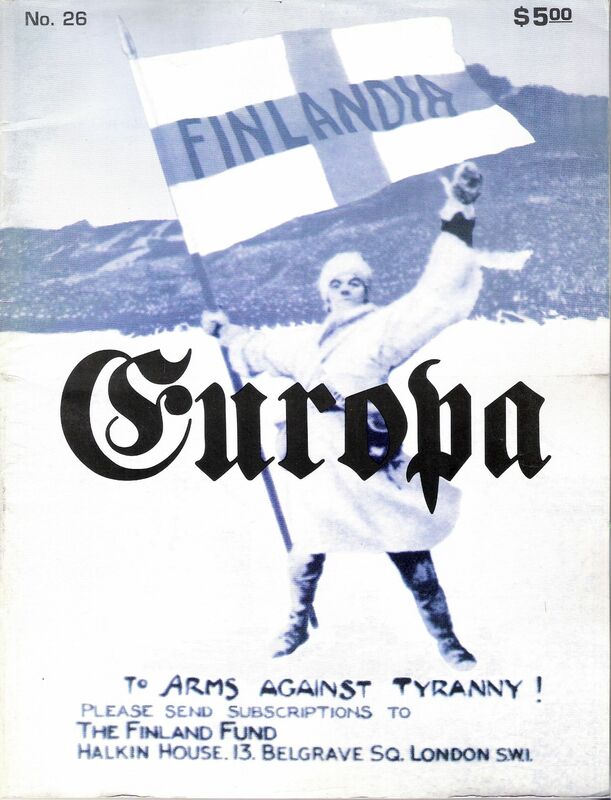 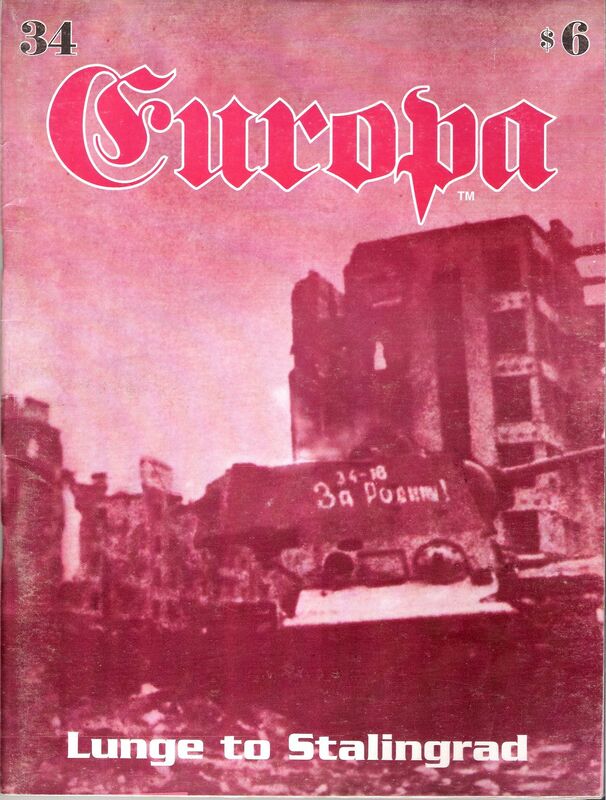 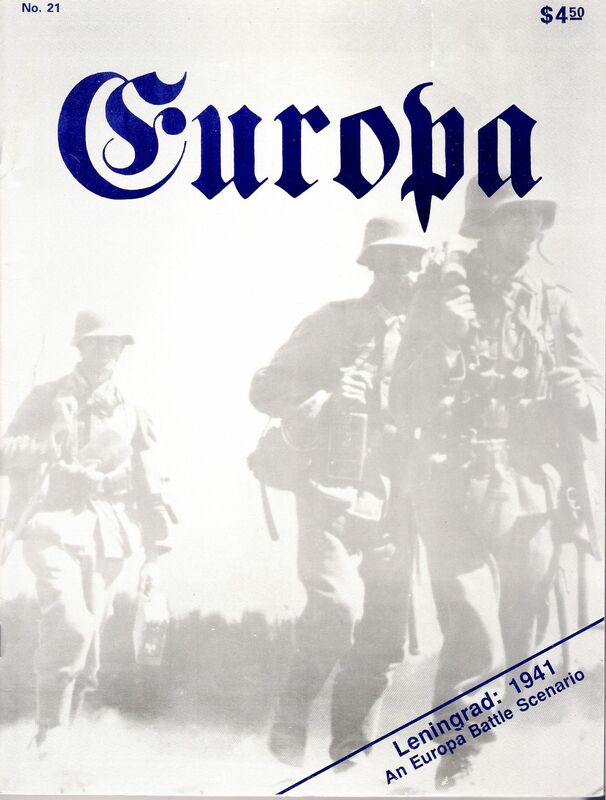 11, the title on the cover was changed to simply Europa, it was called The Europa Magazine (TEM), and it has continued until its final issue 87. 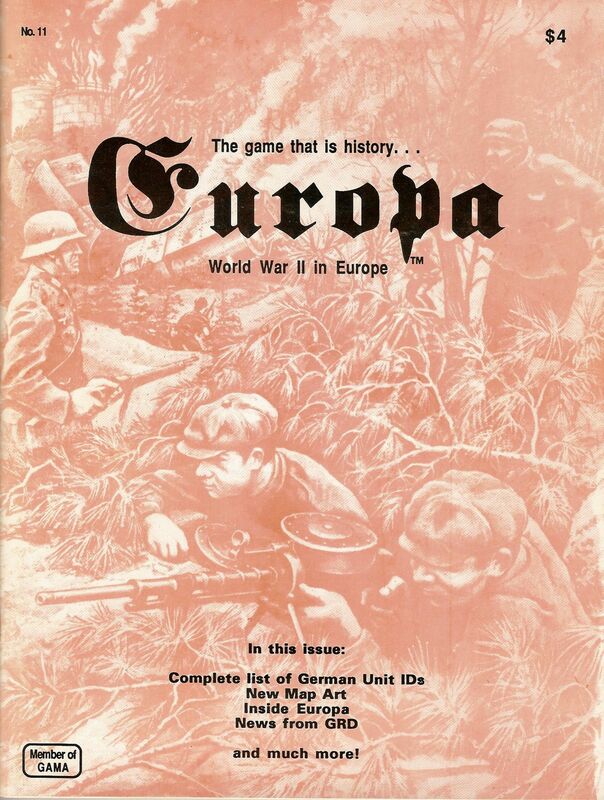 TEM was dedicated to the The Europa Series, The Glory Series and The Great War Series of games. 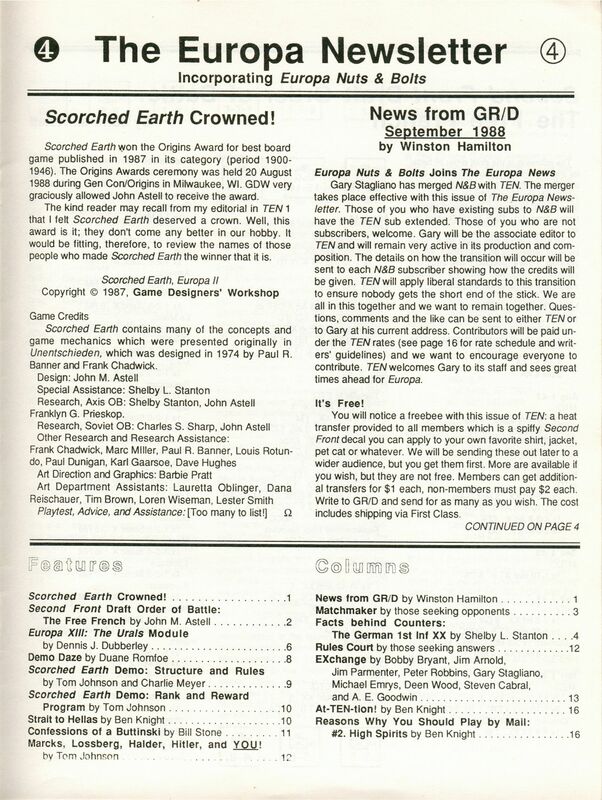 The magazine offered optional rules, scenarios, an inside look at the 3 series and reader feed-back, specifically for the owners of games. 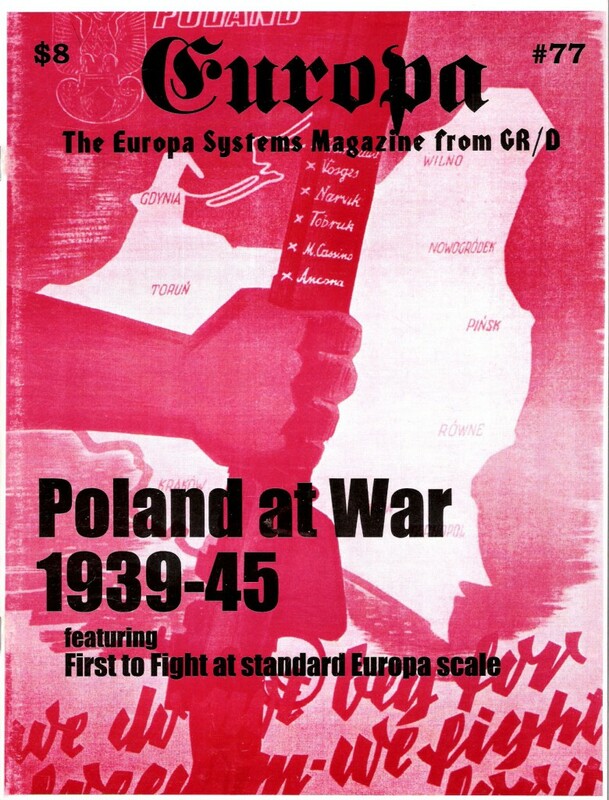 HMS/GRD has published an index for the Europa magazine which is accessible on their website still. 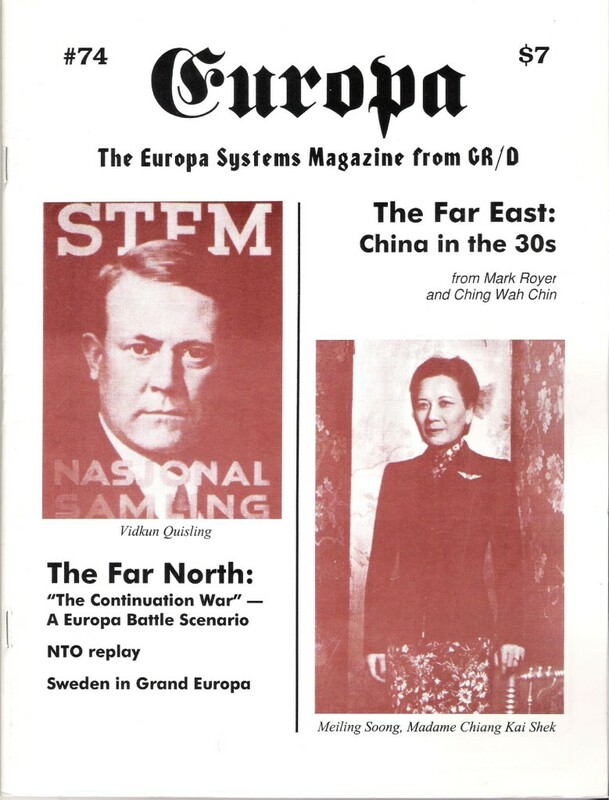 Click on any of the covers to access the Table of contents of each issue. 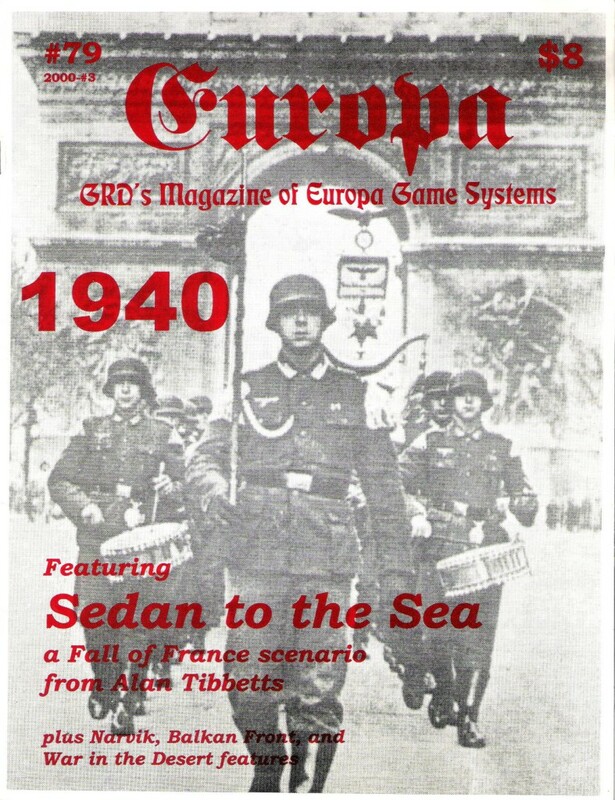 Since several articles and game reports on generalstab.org were subsequently published in TEM, we've linked the index entries to the online articles. 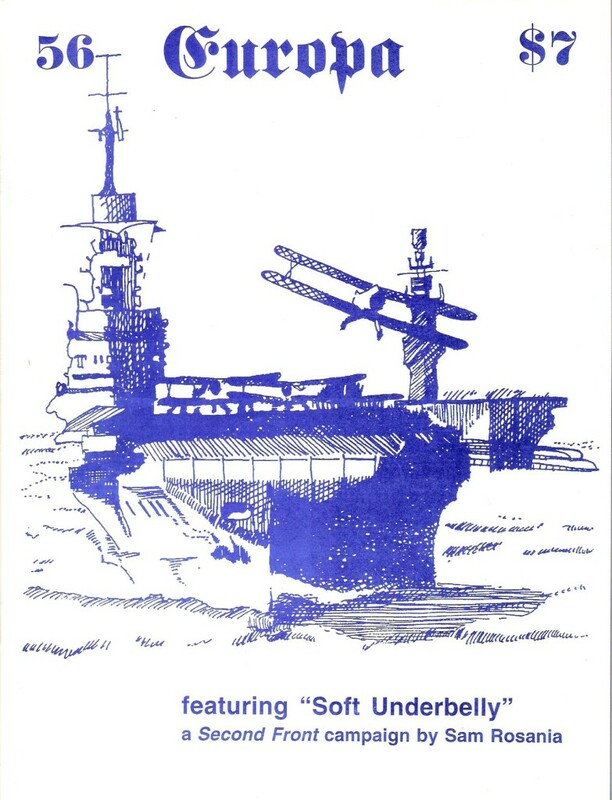 Thank you for that information. 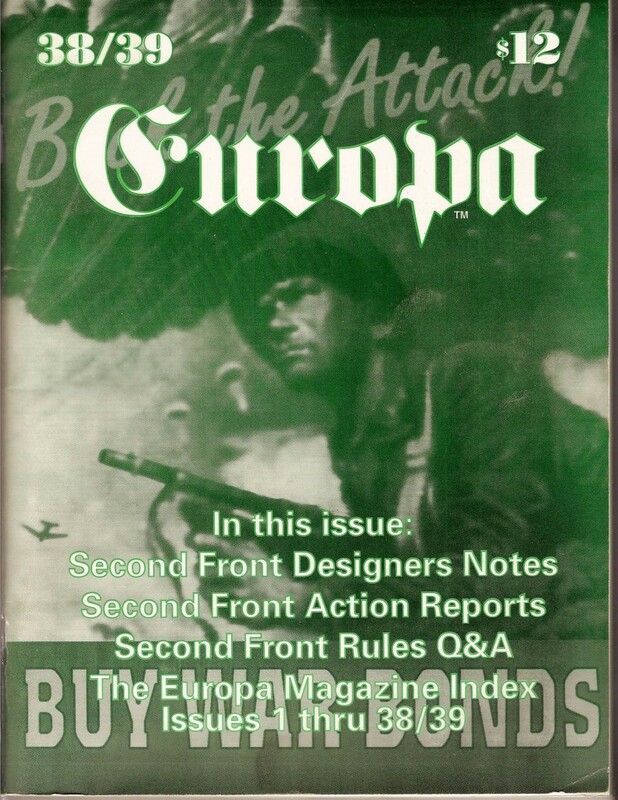 I still think it might be good to have it on this site. 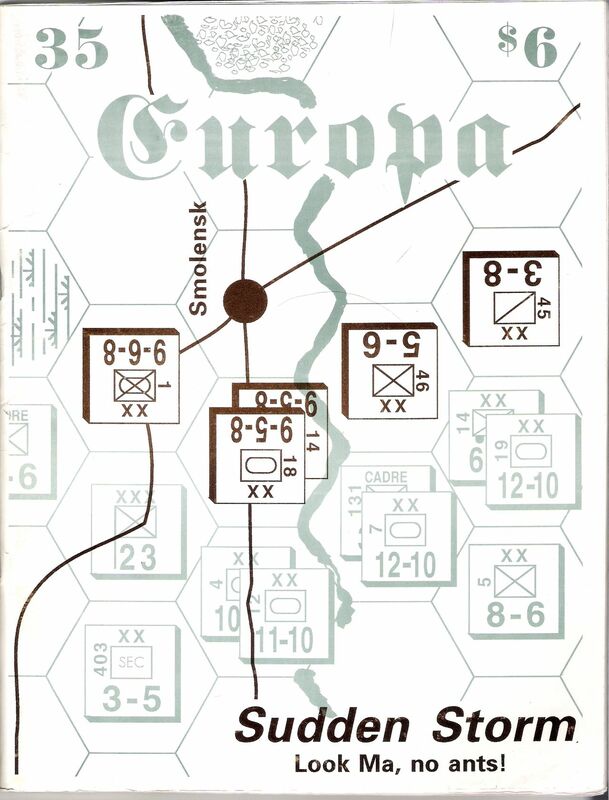 I am trying to learn how to use Vassal by playing Fire in the East. 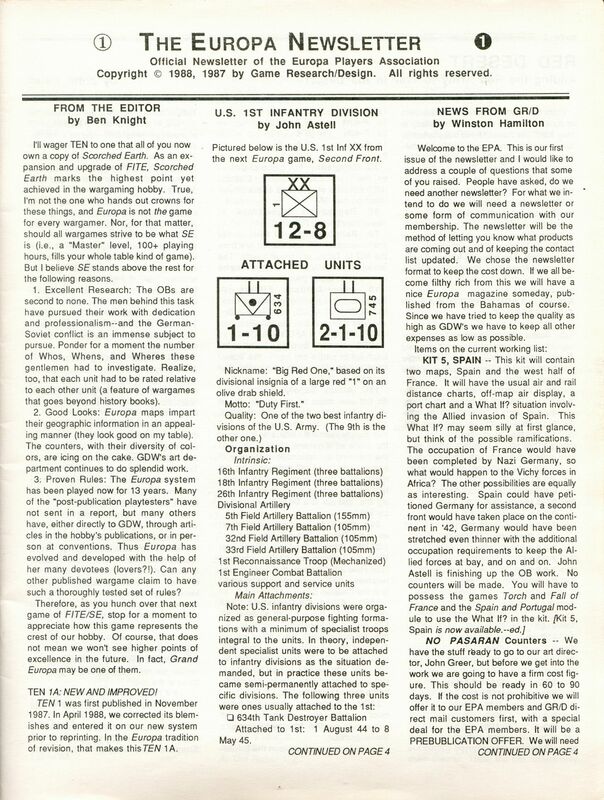 The Fire in the East module does not start with the game setup because it is partly a setup within the limits situation. 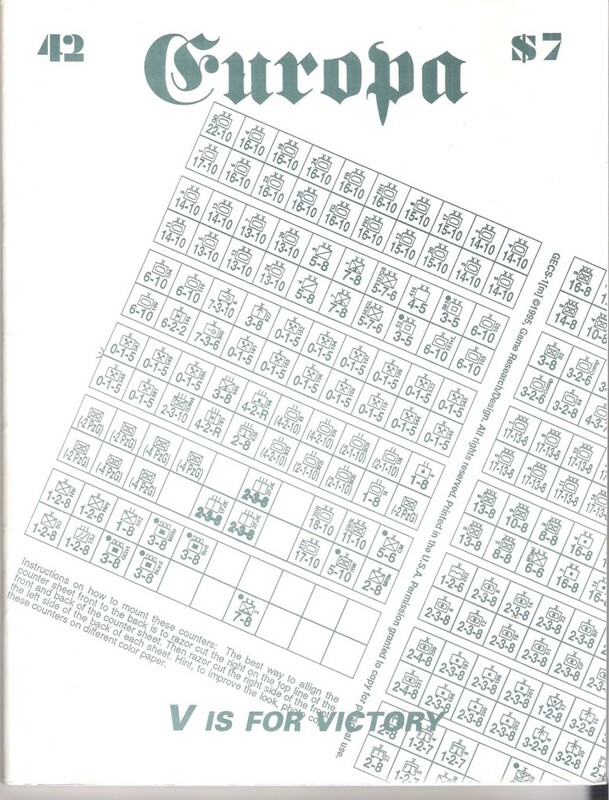 My rules and setup are not available right now due to house renovations. 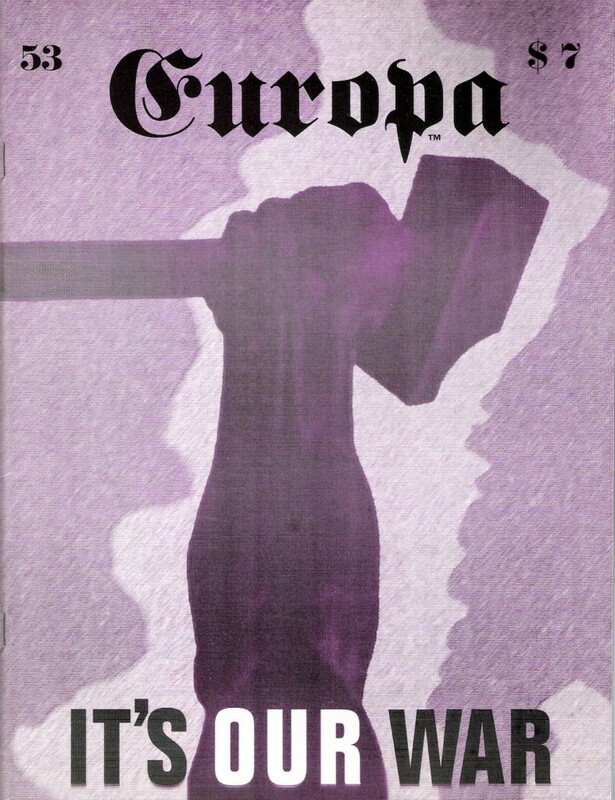 I searched for a replacement but could find none. 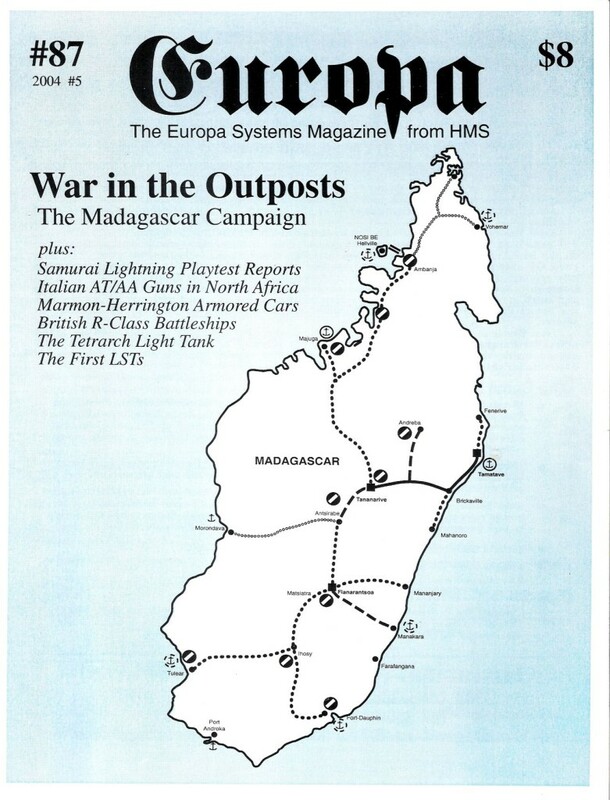 Could you suggest a location where I may acquire this information. 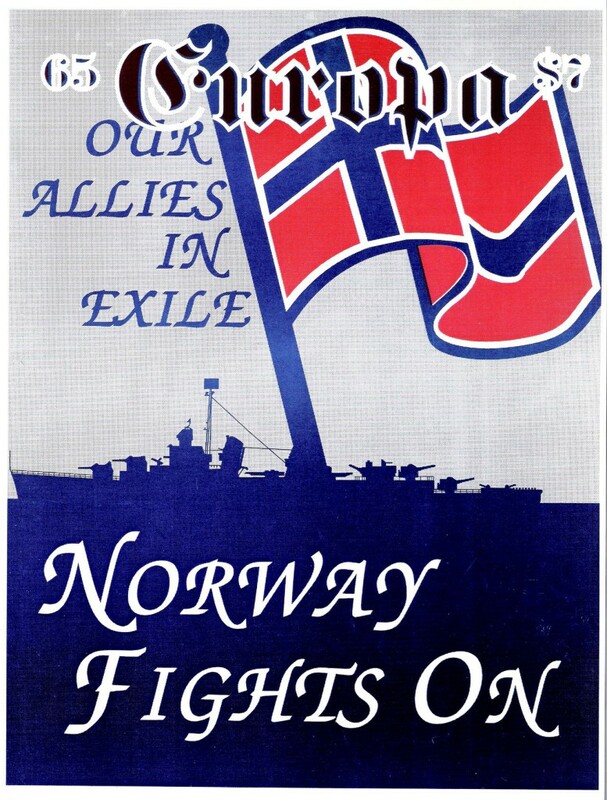 unfortunately I do not know any public source for the FitE. 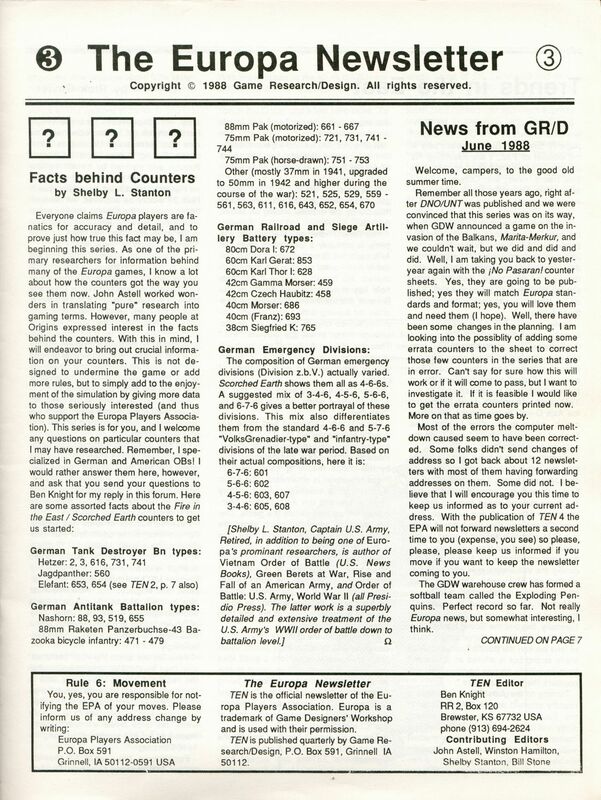 While being open to share Charts and discuss the rules in public, HMS/GRD have always been adamant that the OBs are the core of their intellectual copyright, and therefor you’ll find only selected OBs available. 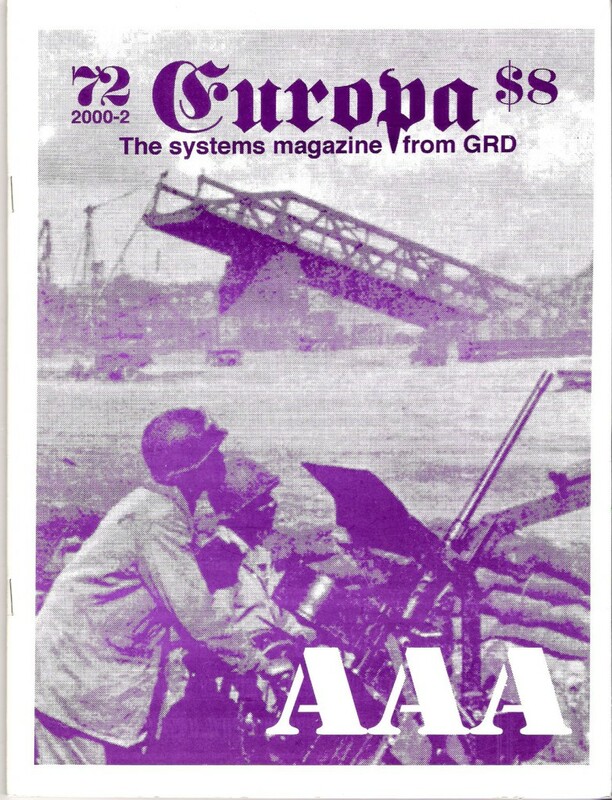 Maybe someone on the Yahoo mailing list is willing to help you, I recommend asking around there.